Despite not winning a World Series in over a million years, the Cubs are much beloved. 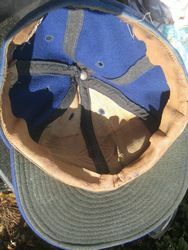 As are their caps. 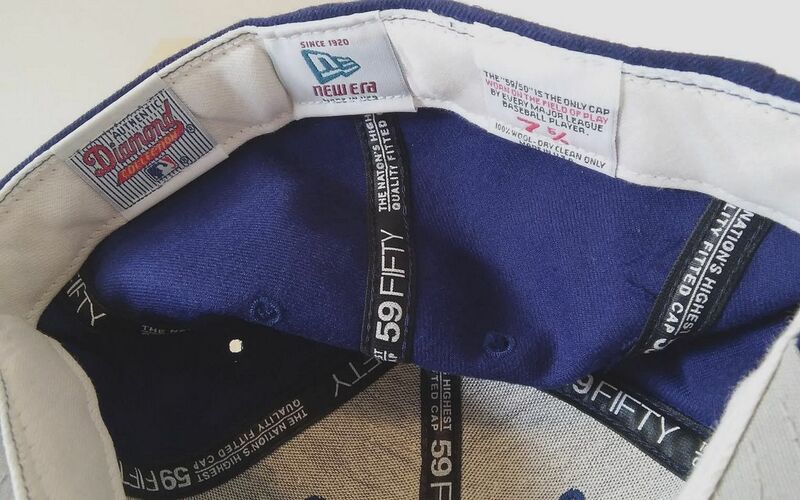 Solid navy cap with no logo. 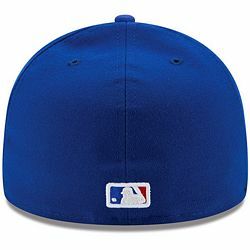 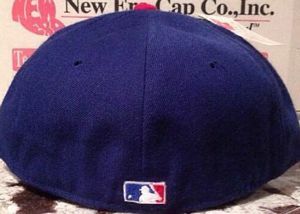 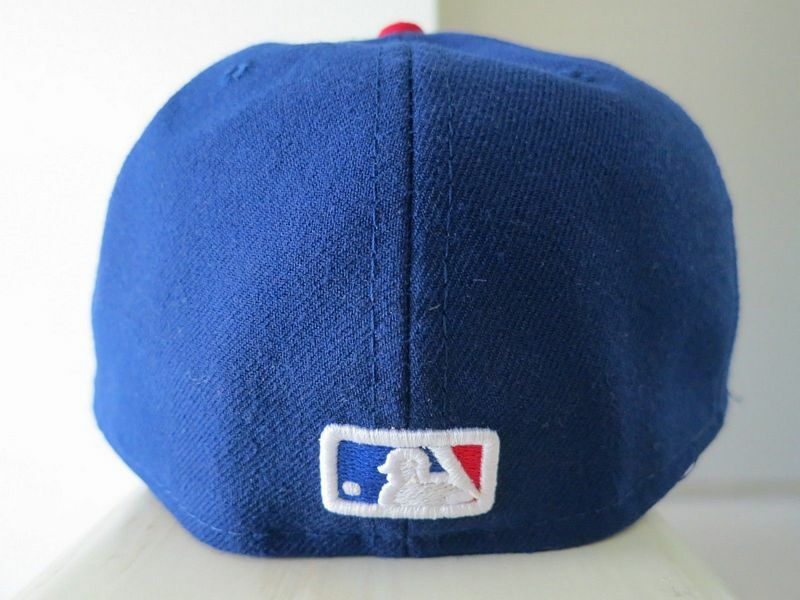 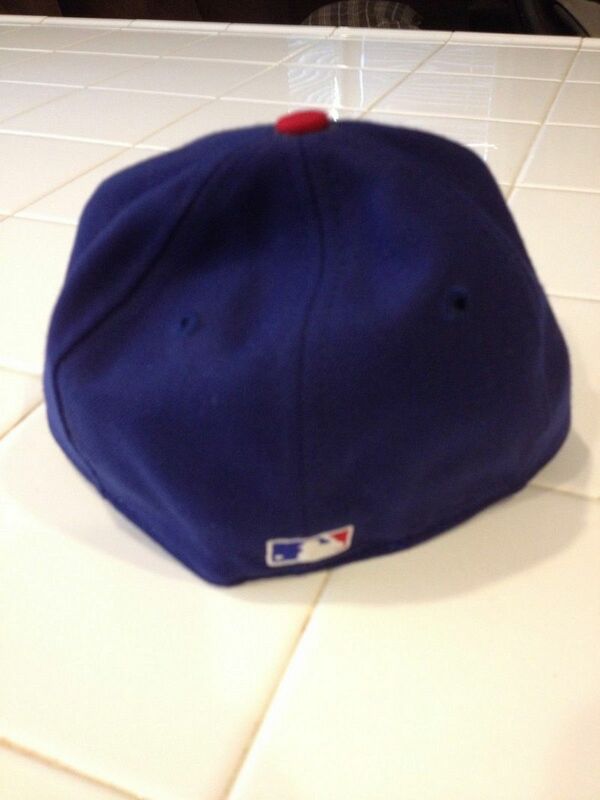 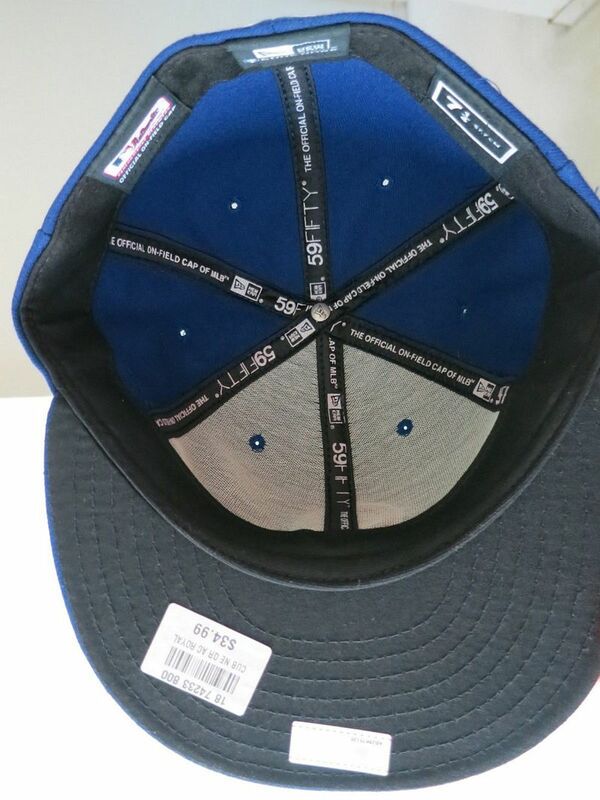 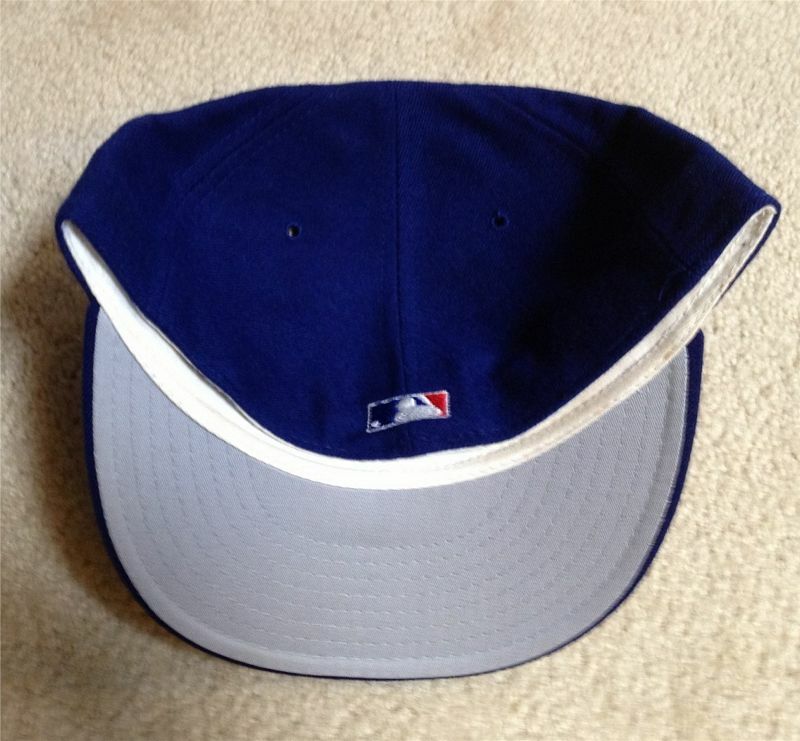 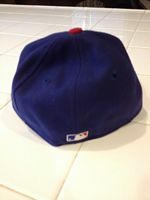 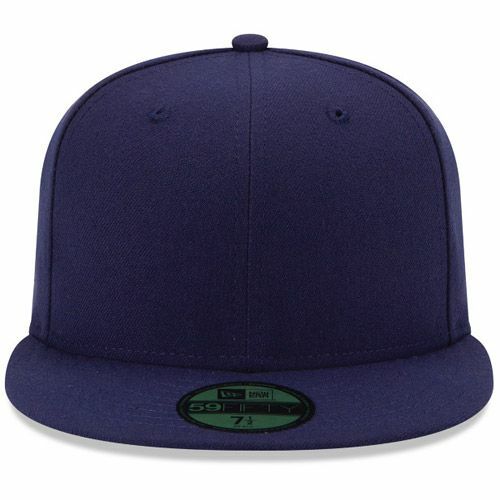 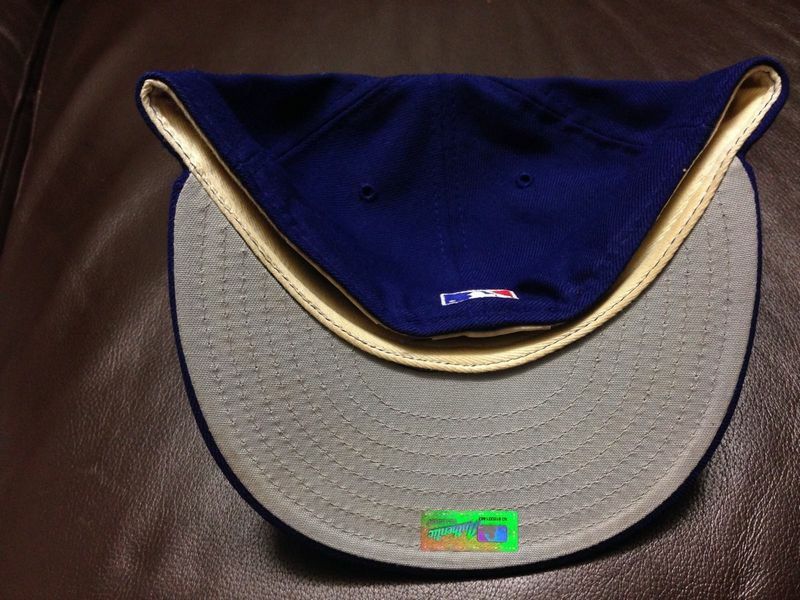 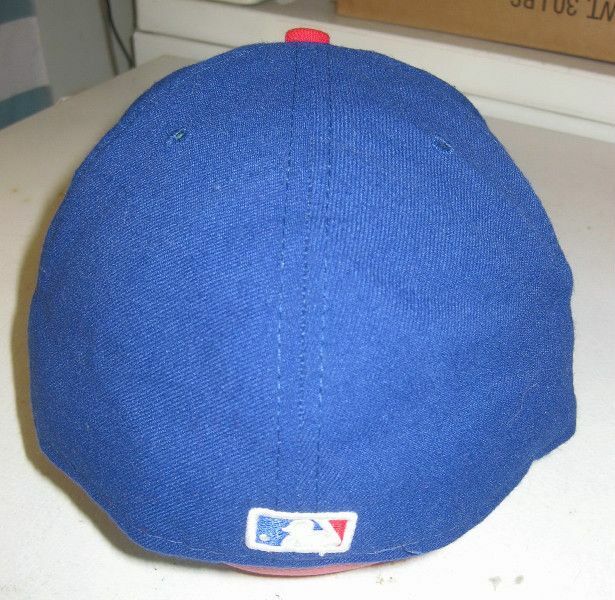 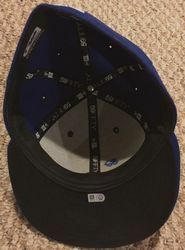 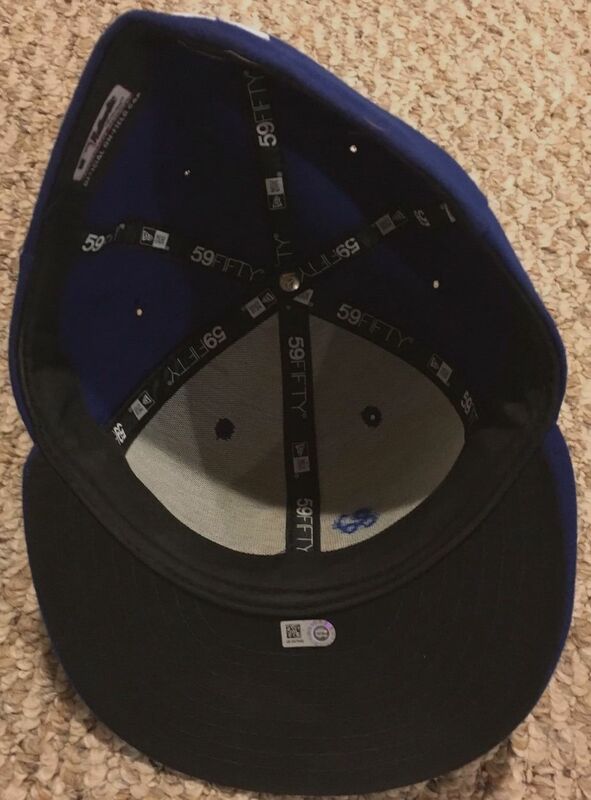 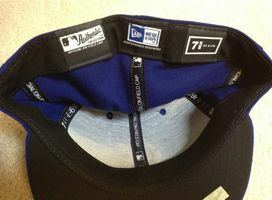 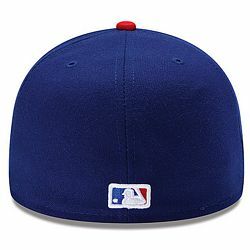 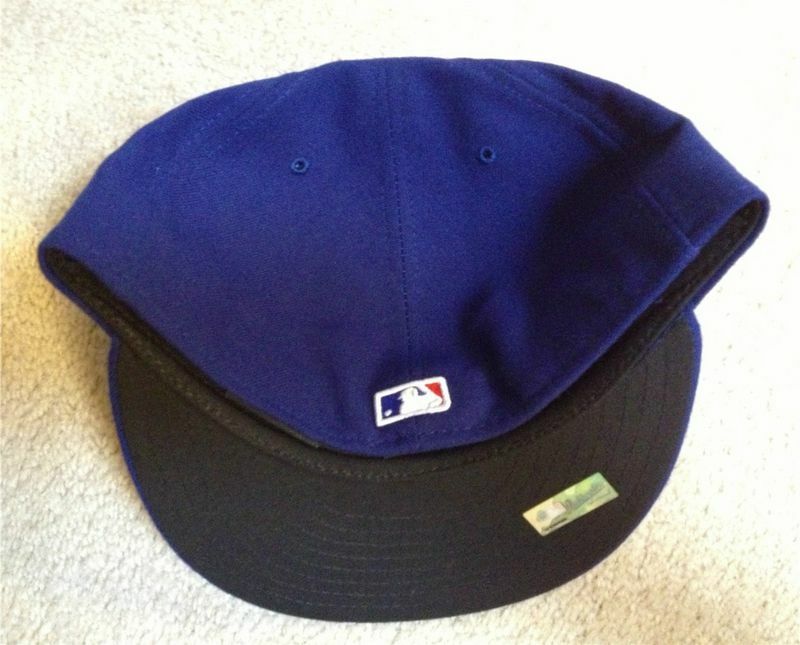 Solid royal blue cap with no logo. White home, grey road with blue visor, red pinstripes and no logo. White home, grey road with blue visor and pinstripes and no logo. 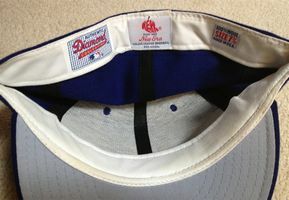 White home, grey road with blue visor and no logo. White home, grey road with blue visor and no logo with an all-white alternate. White home, grey road with blue visor and no logo. 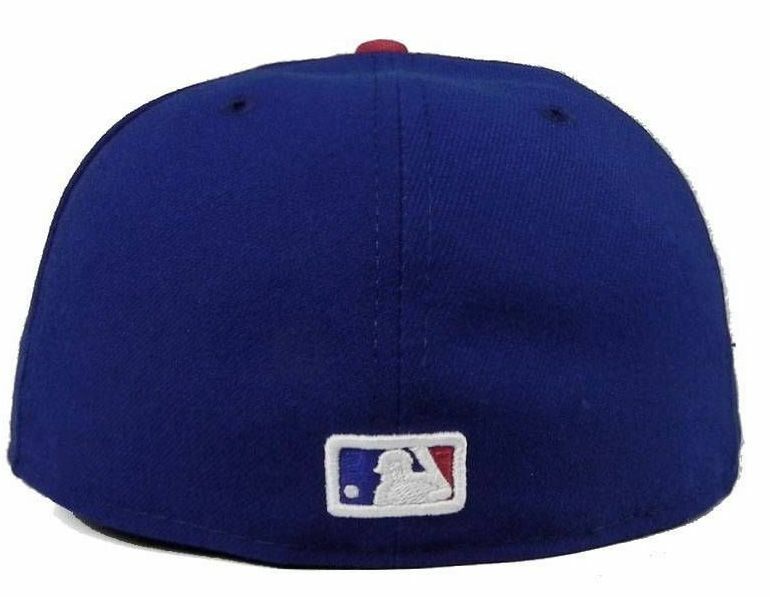 Later in the year the road cap gets pinstripes to match the new road jersey. 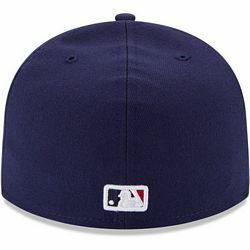 New solid navy cap with white "C" logo. Logo is a rounded "C". 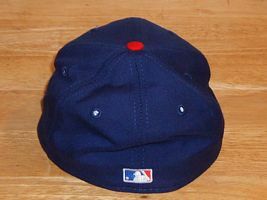 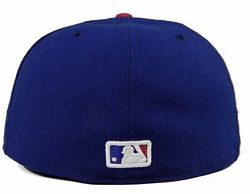 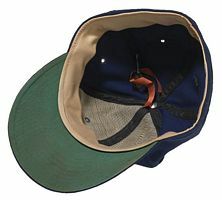 Cap logo is a thin embroidered-on wishbone "C". probably New Era. 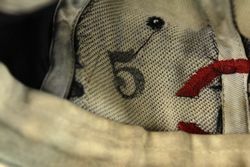 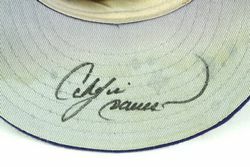 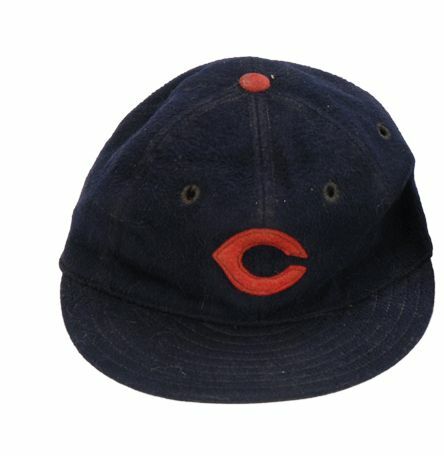 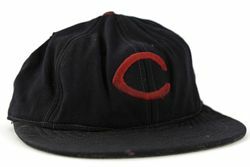 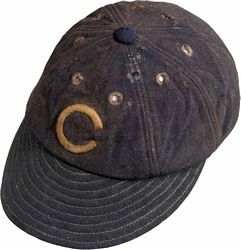 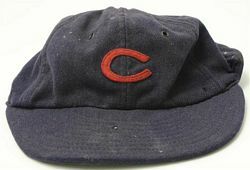 Cap logo is a thicker embroidered-on wishbone "C". 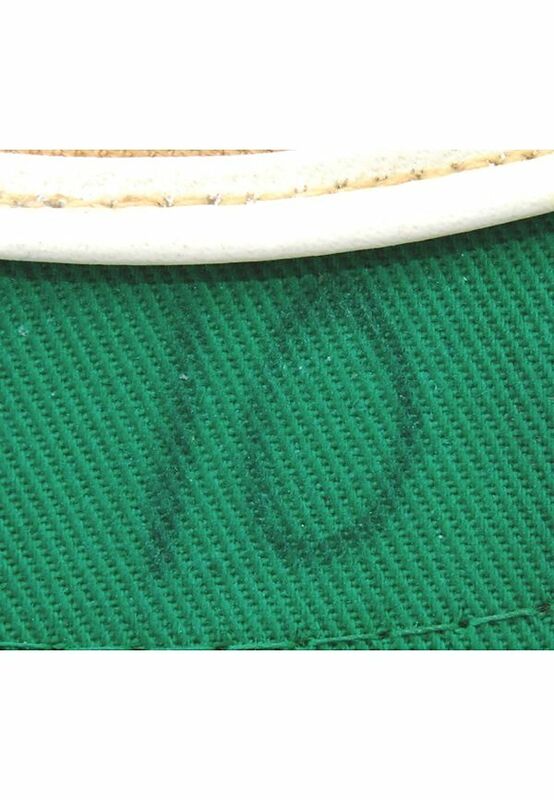 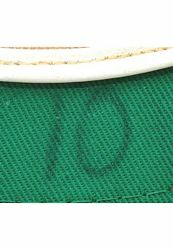 The "C" is now embroidred, either directly or on a patch, and seems a bit thinner. 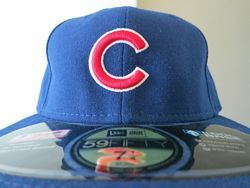 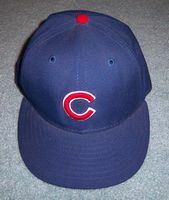 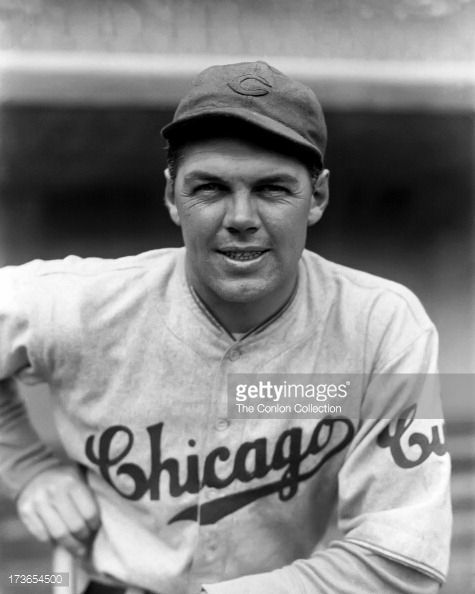 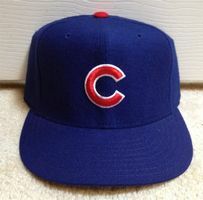 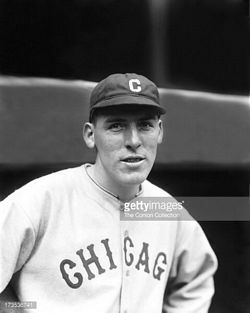 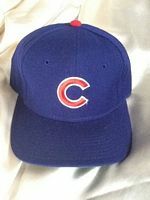 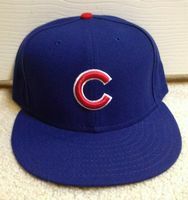 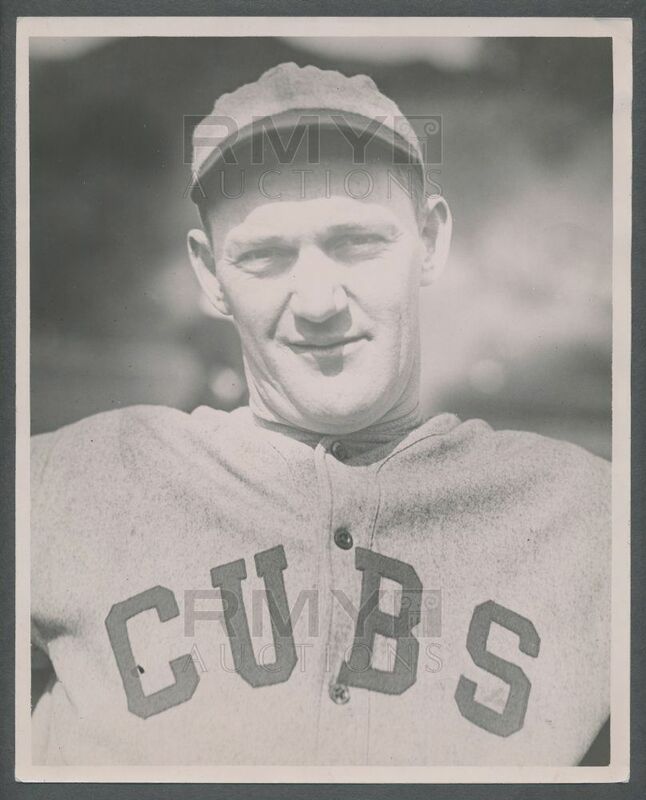 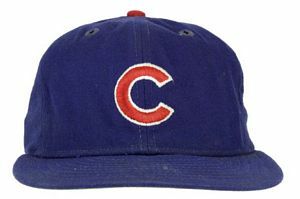 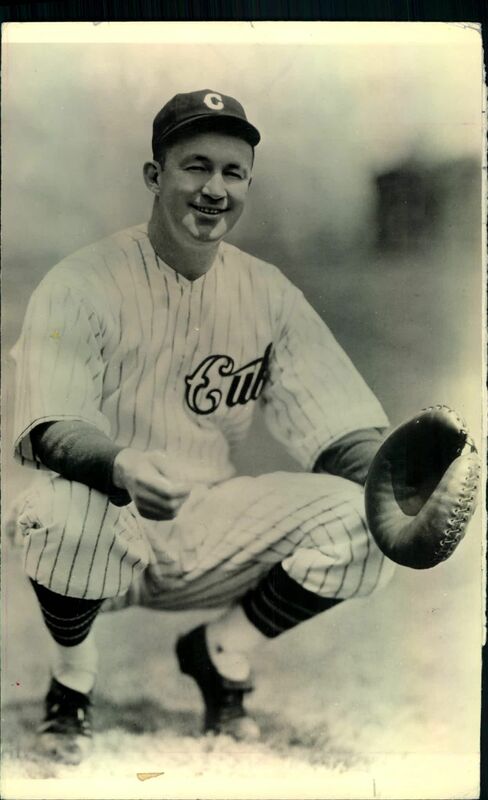 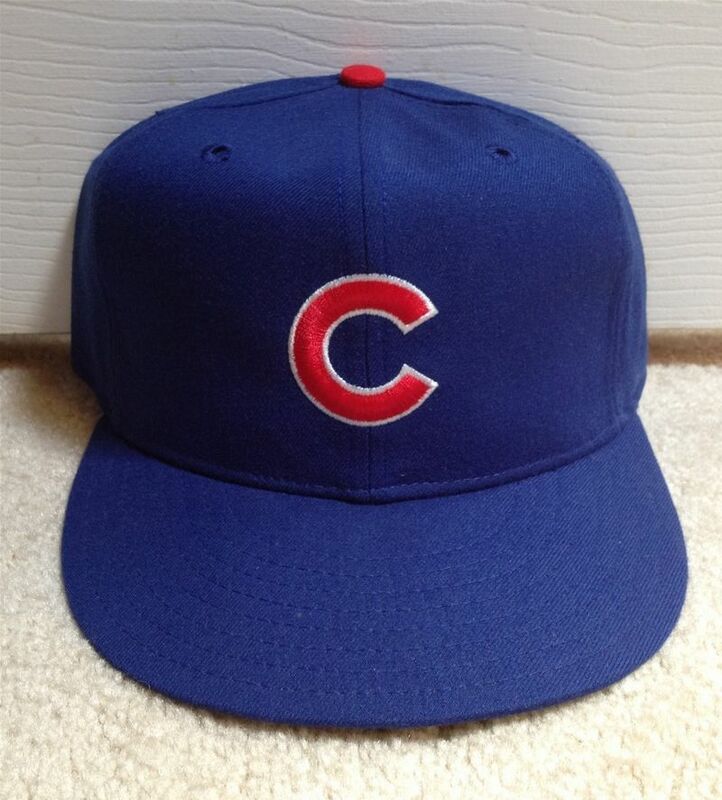 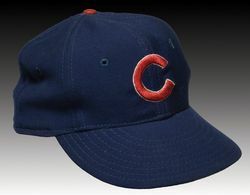 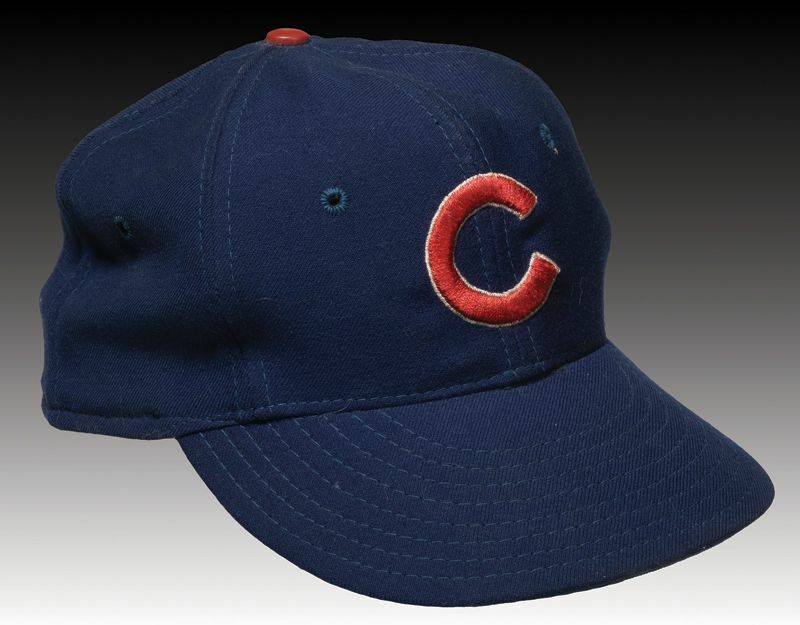 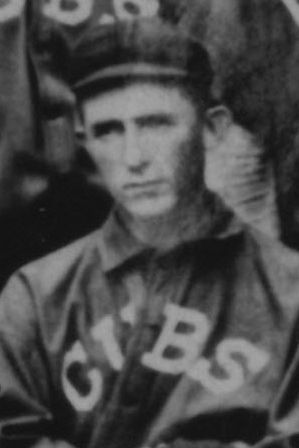 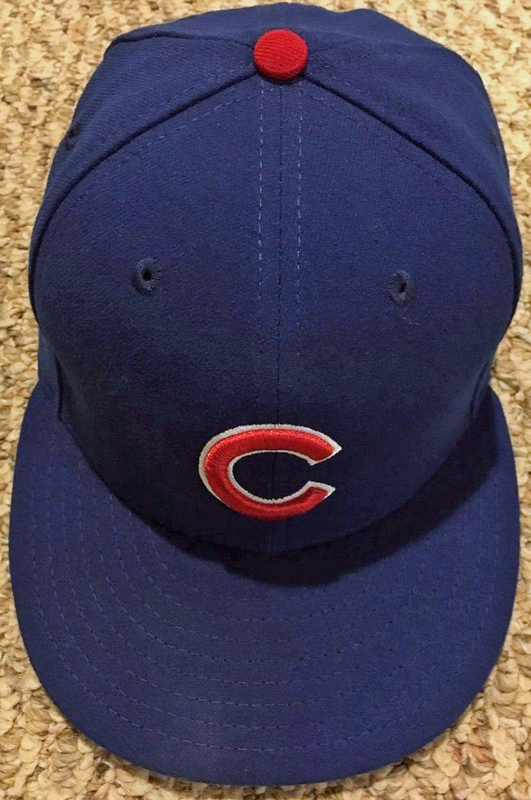 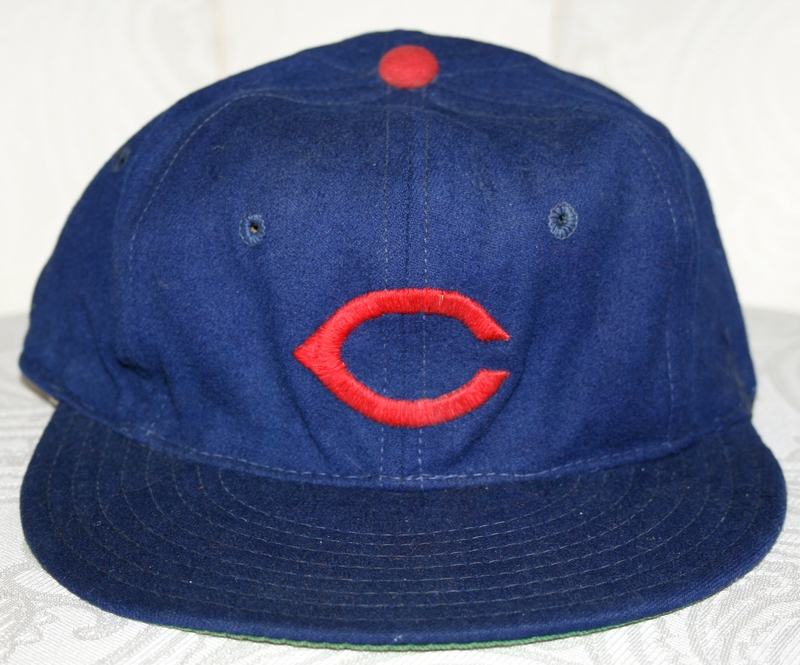 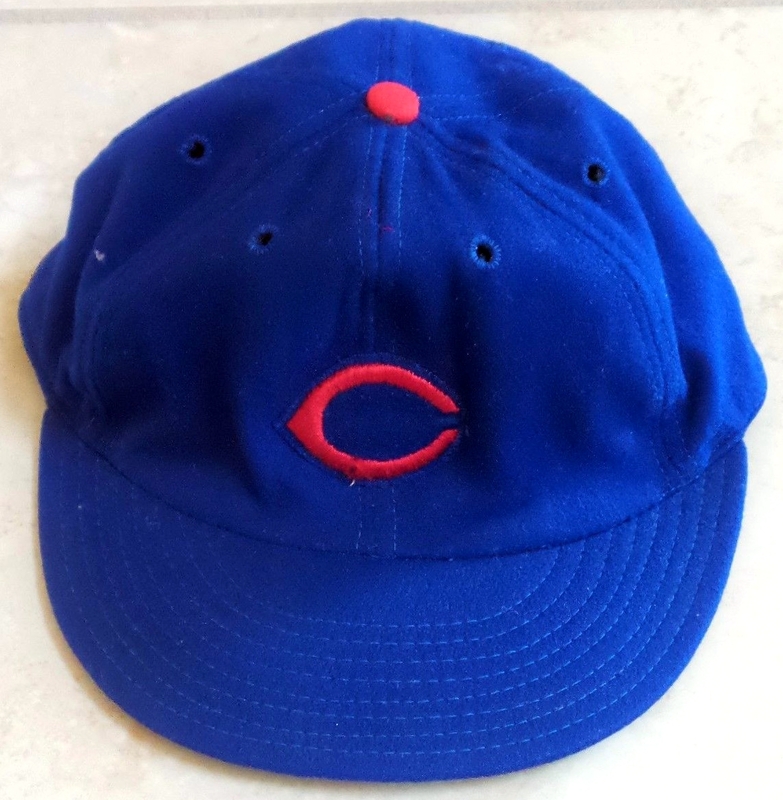 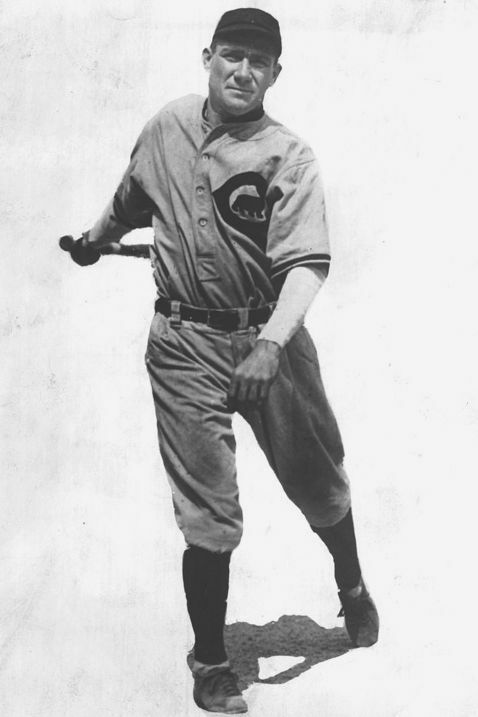 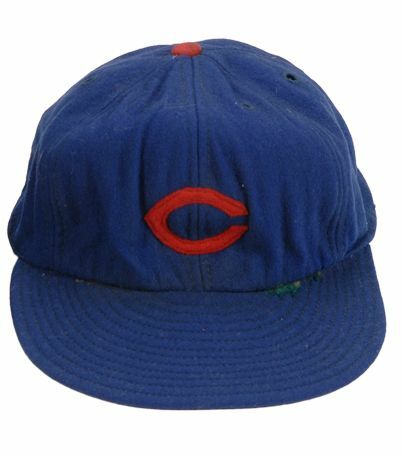 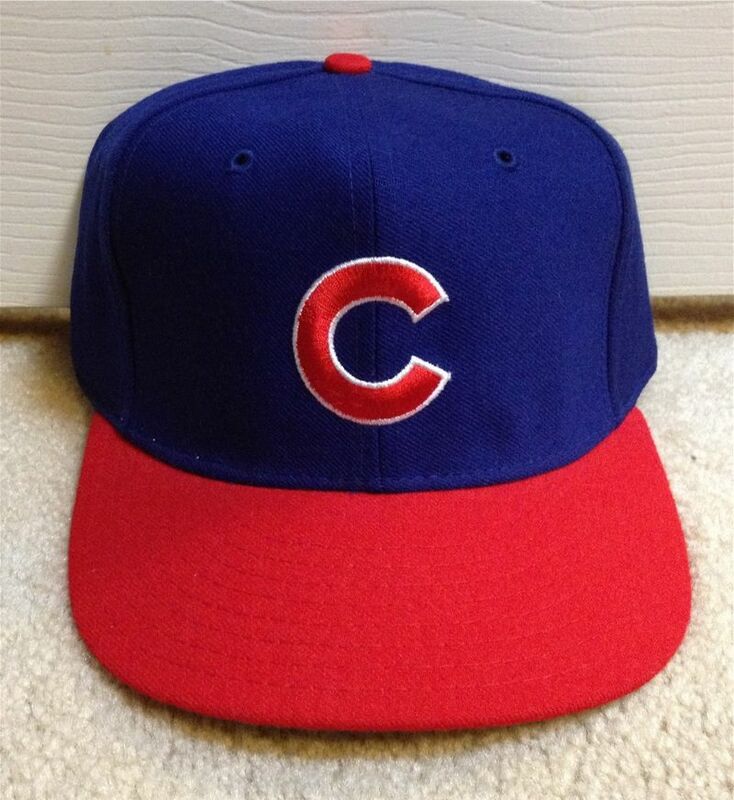 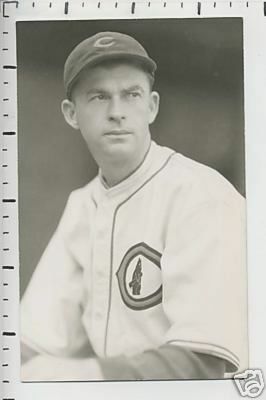 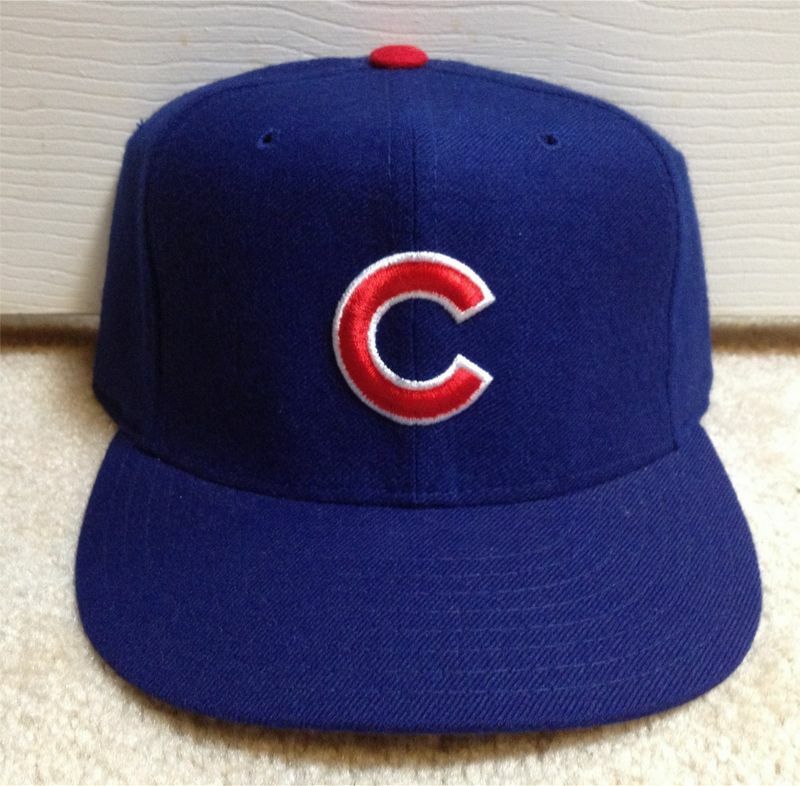 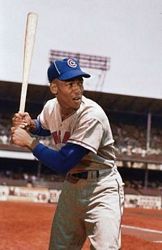 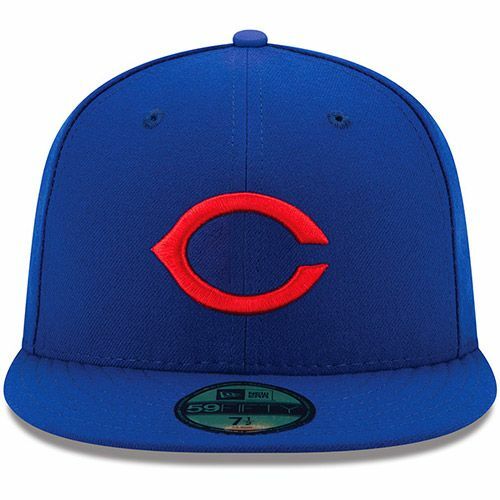 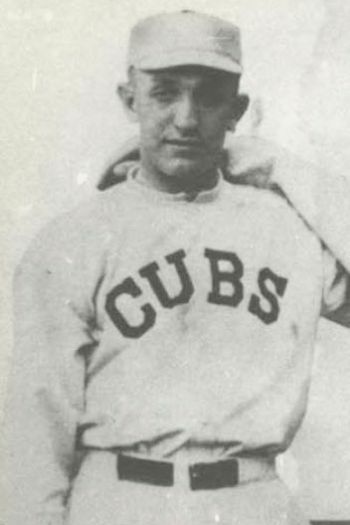 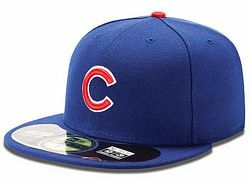 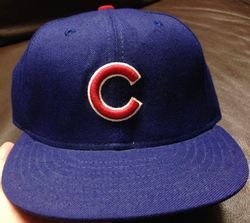 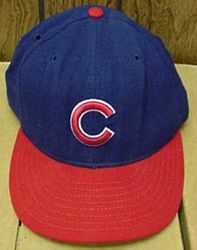 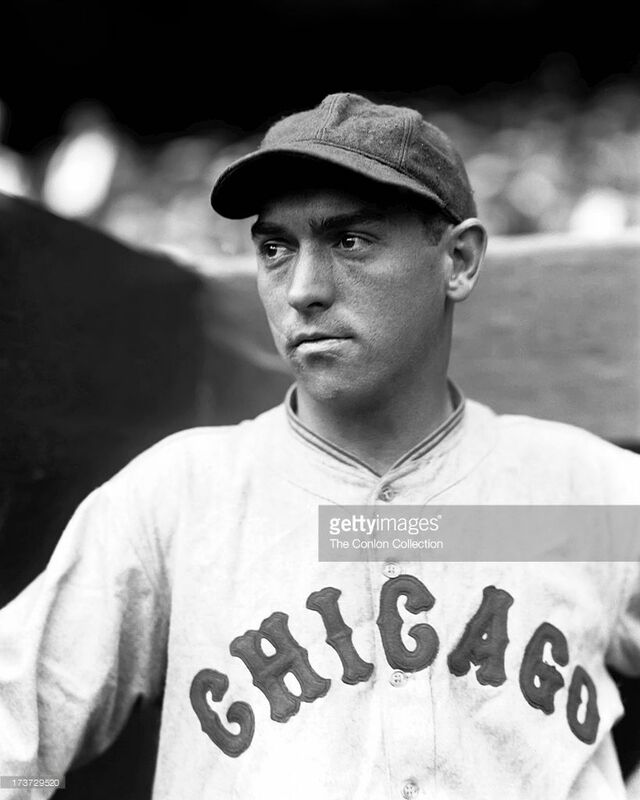 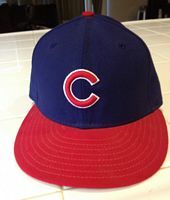 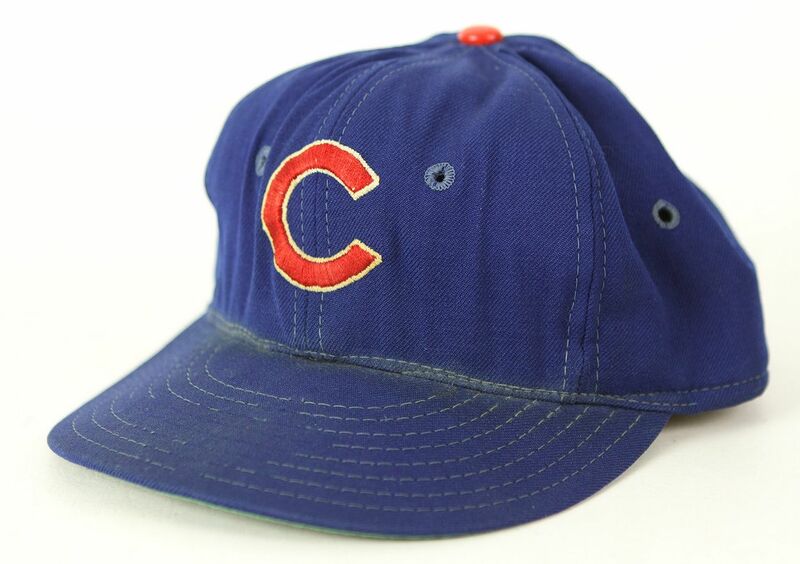 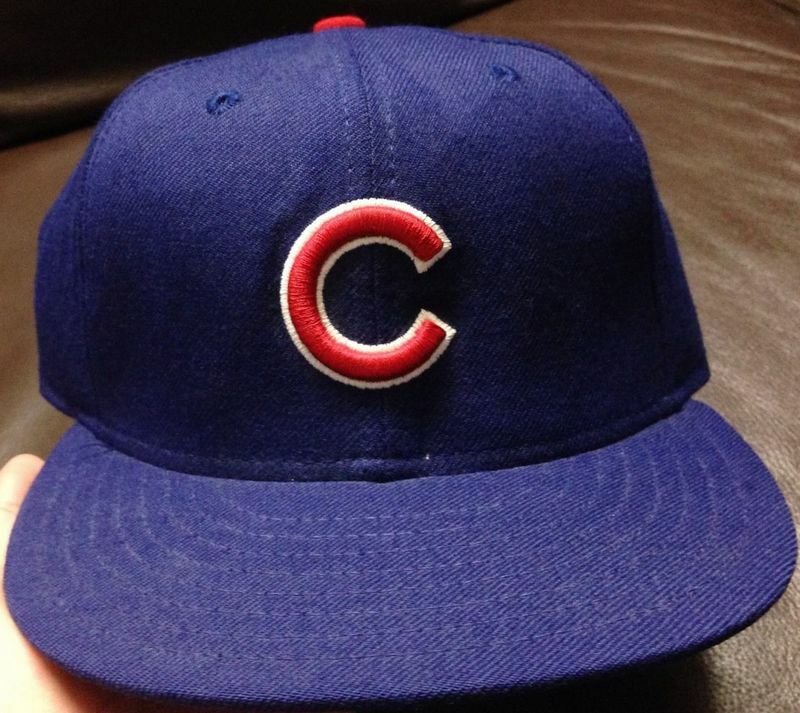 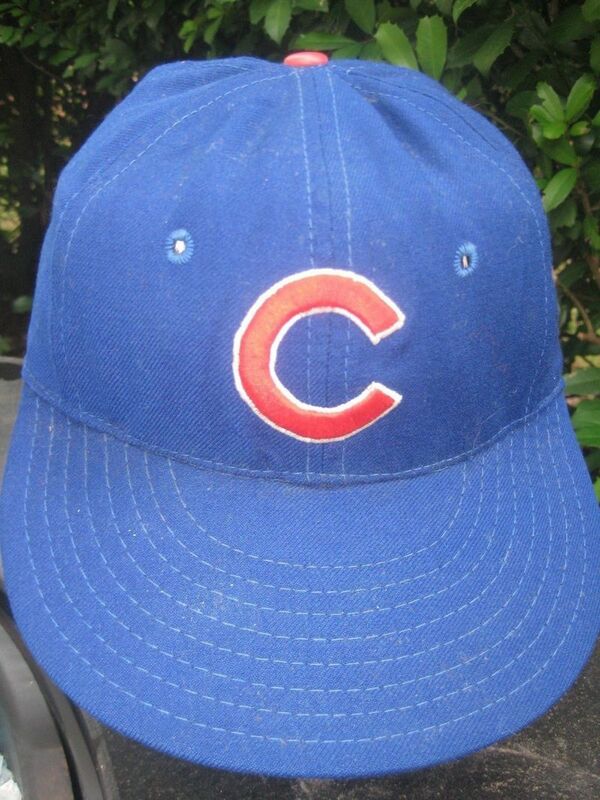 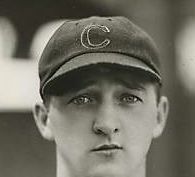 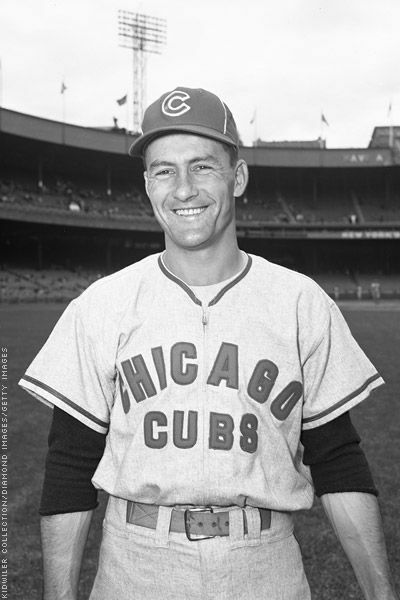 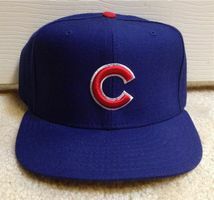 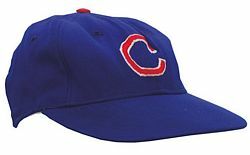 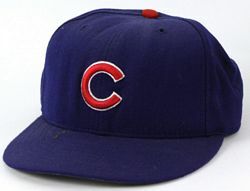 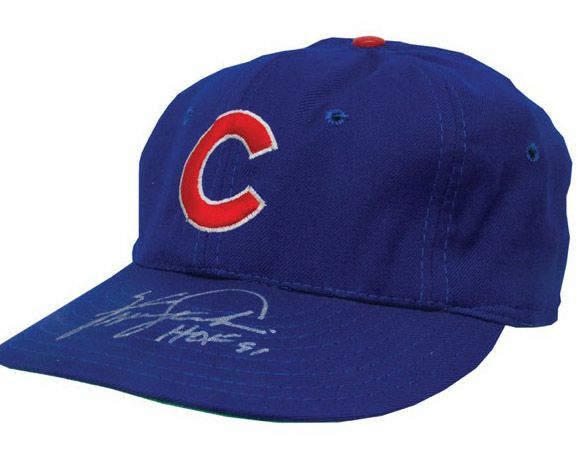 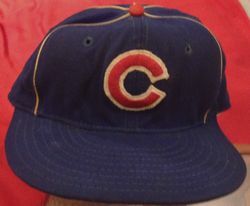 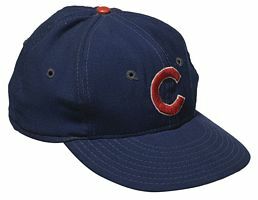 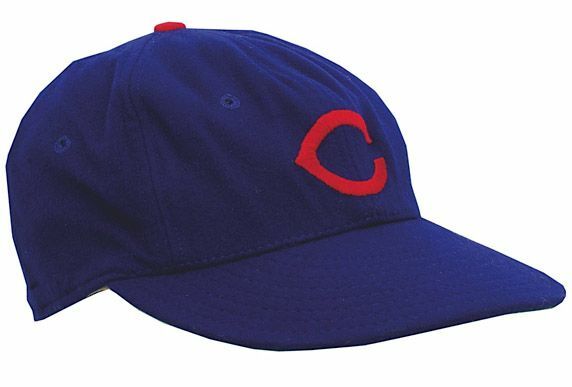 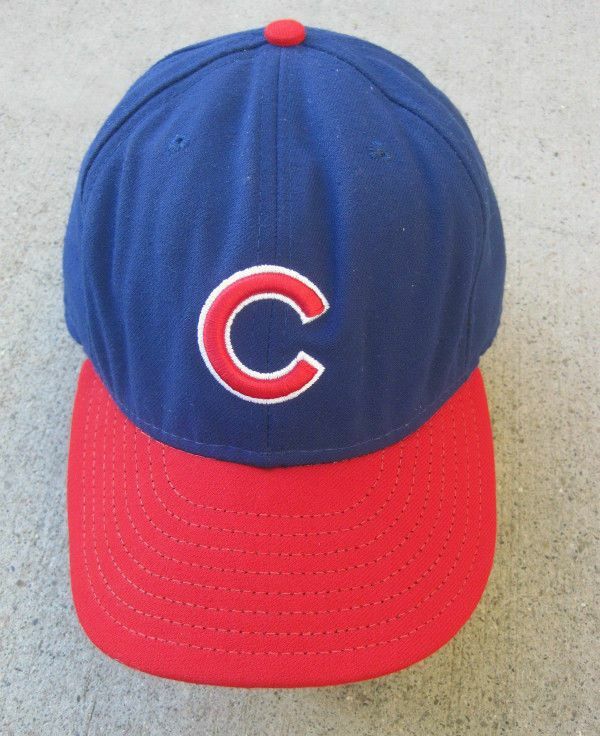 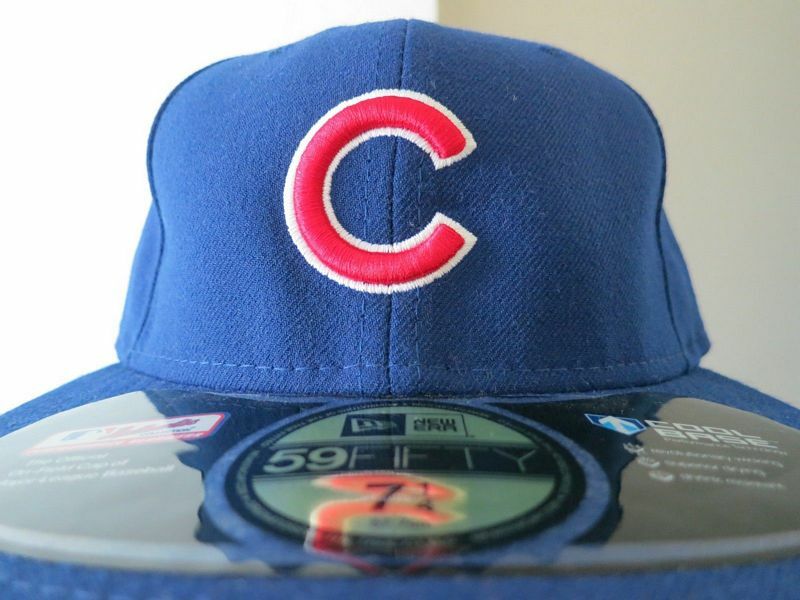 The Cubs switch to a rounded "C" with white outline and piping. 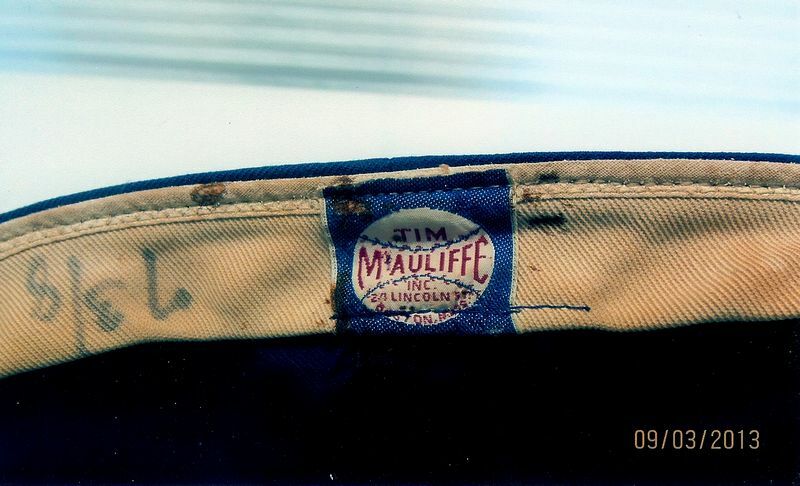 McAuliffe made a wishbone "C" version, those were not used. 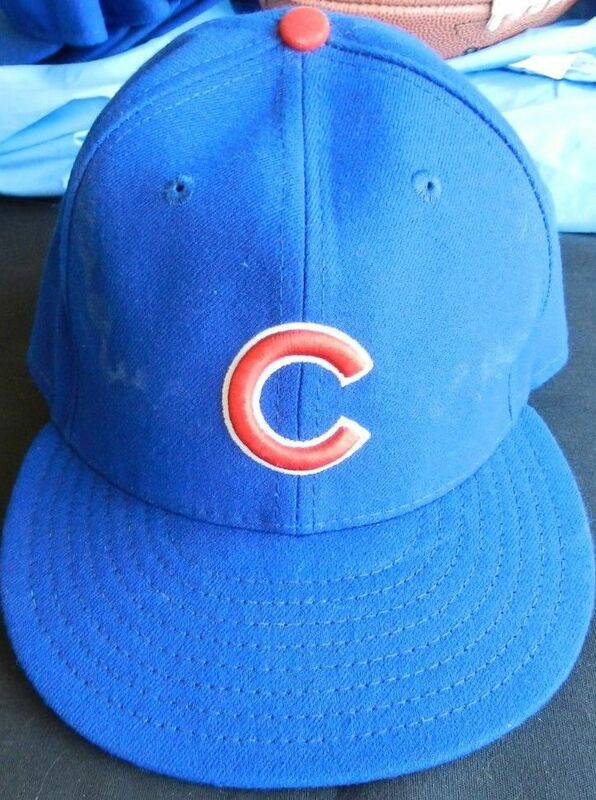 Piping dropped and white trim around the "C" is thiner. 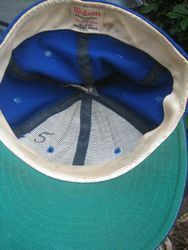 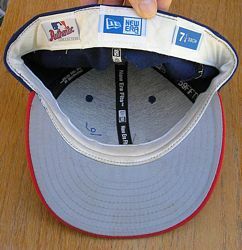 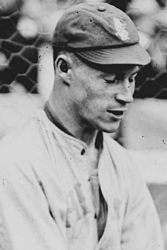 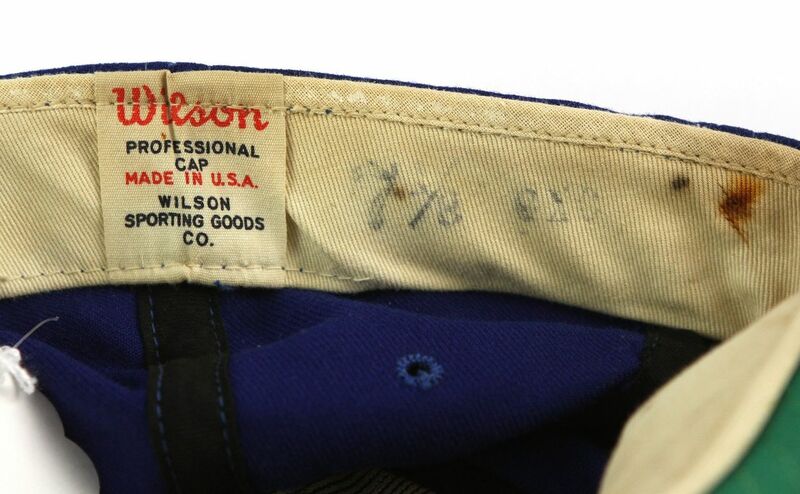 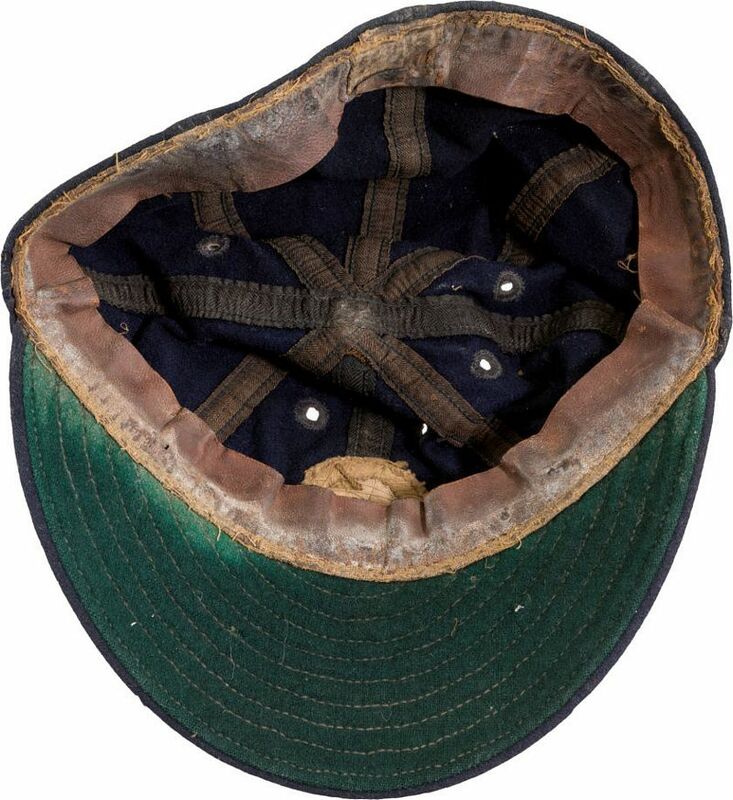 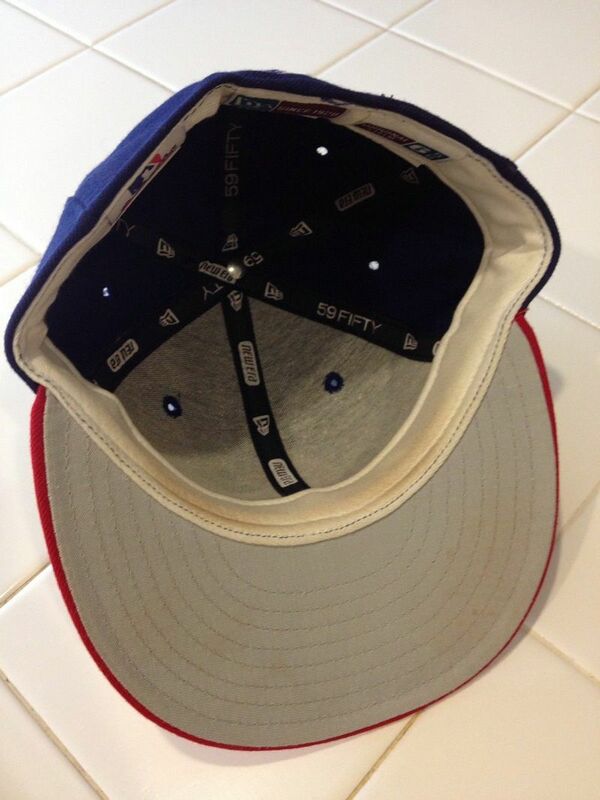 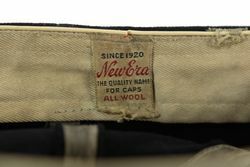 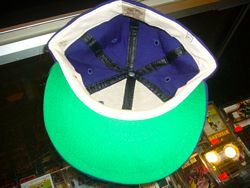 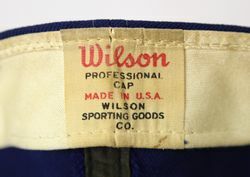 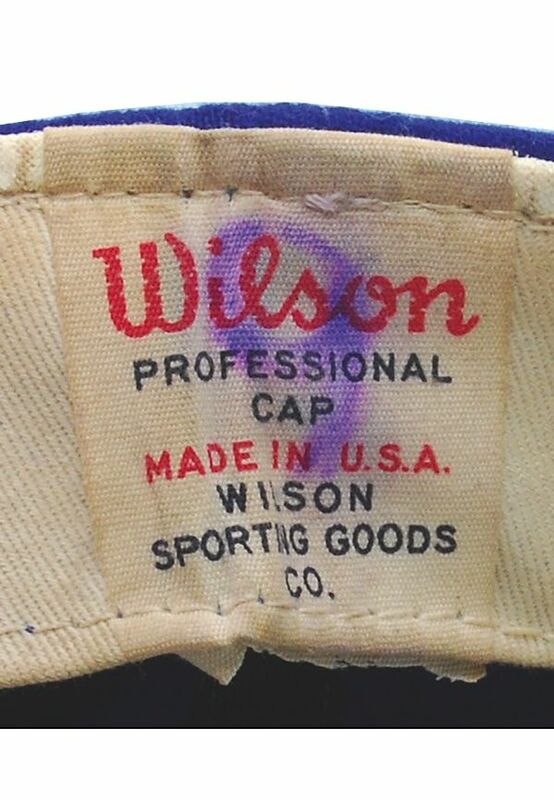 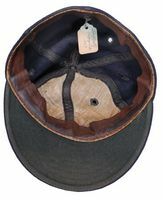 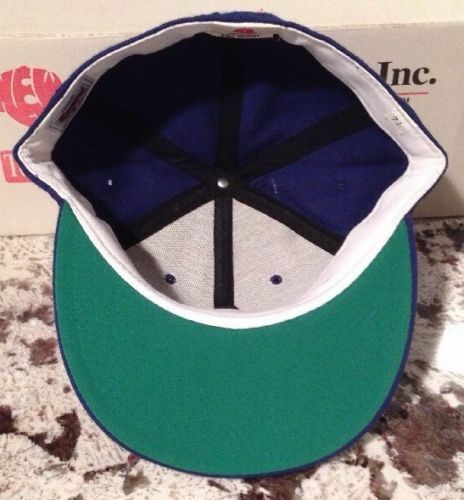 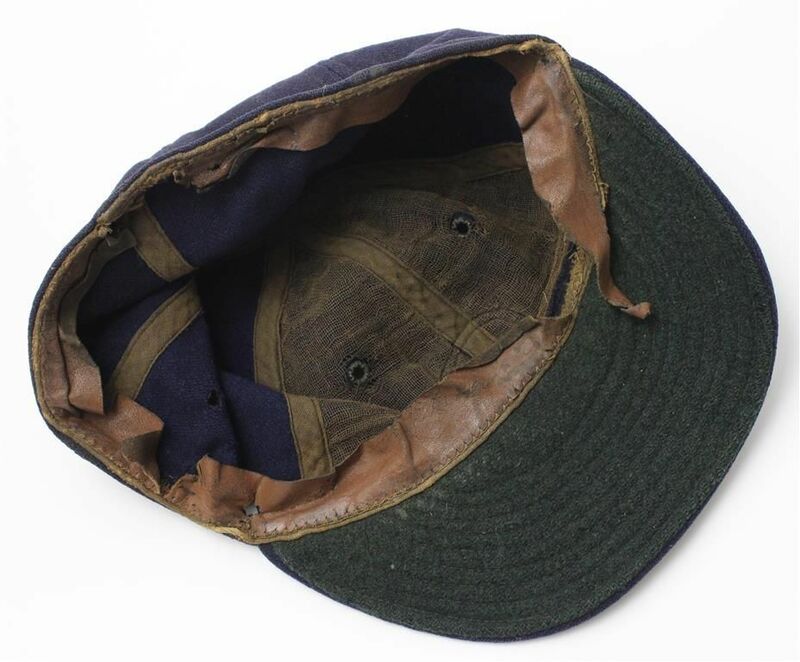 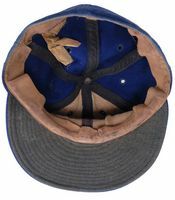 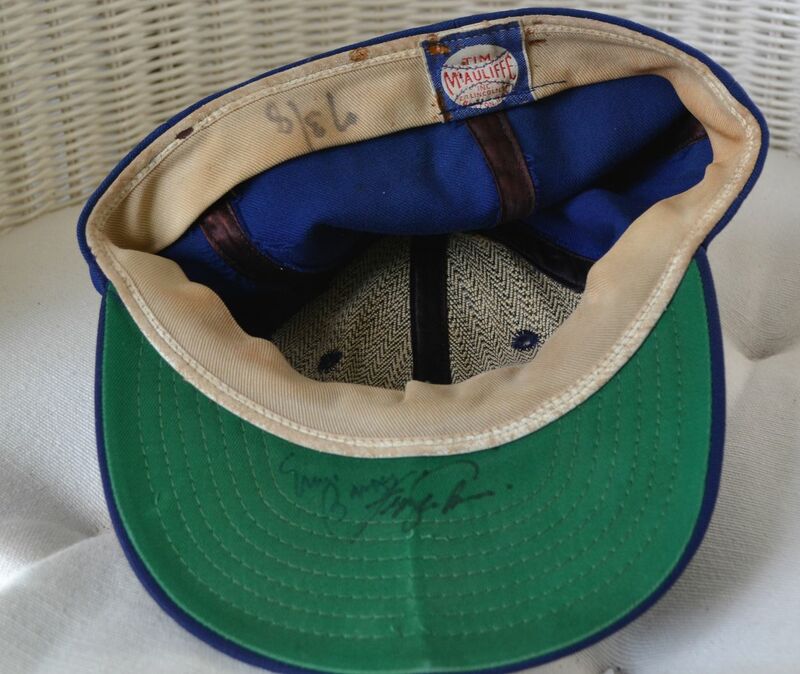 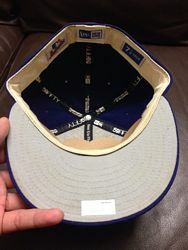 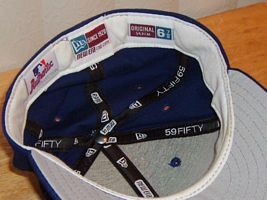 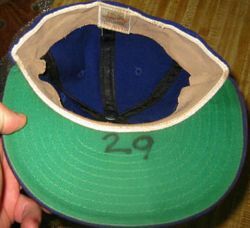 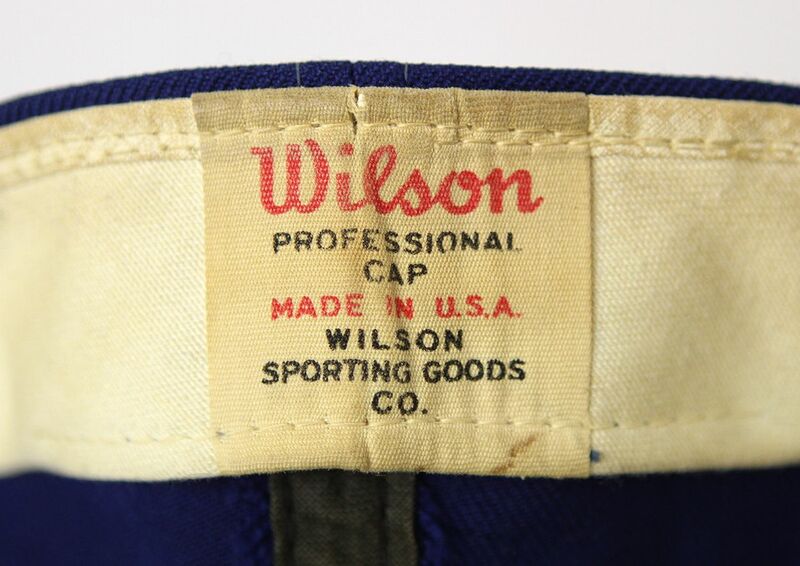 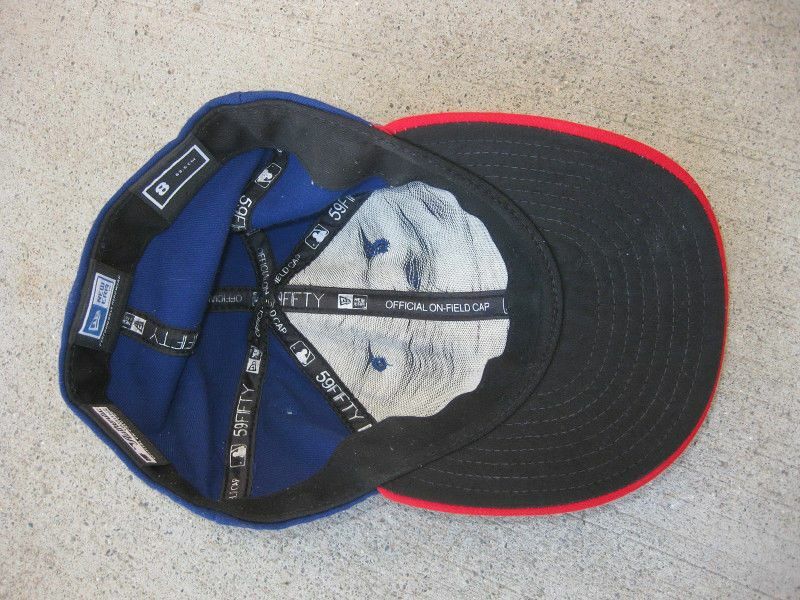 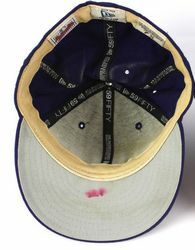 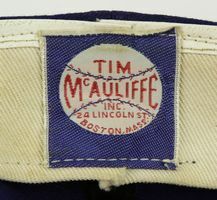 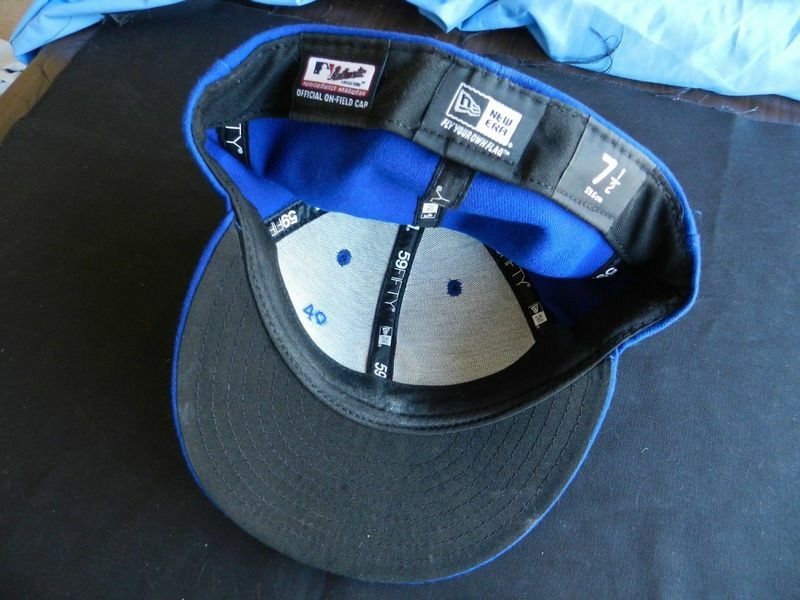 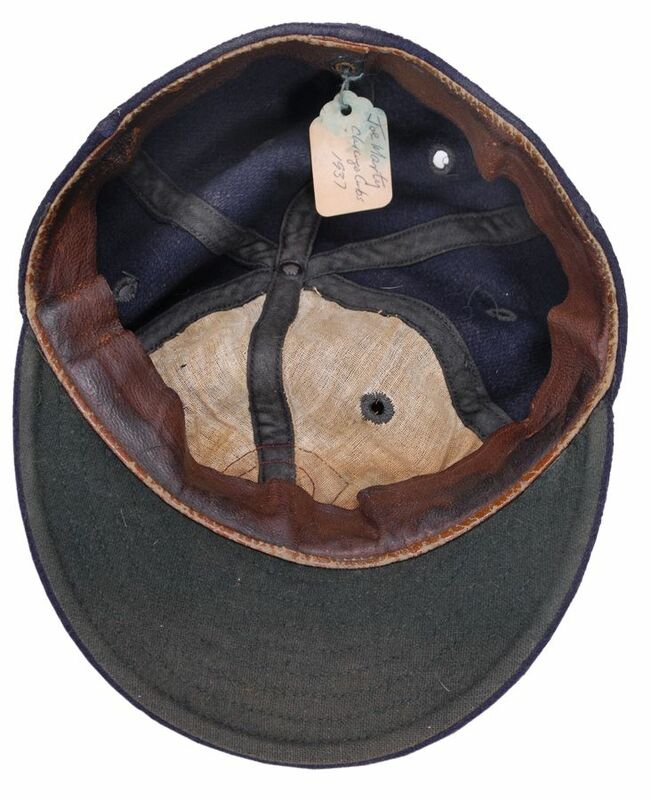 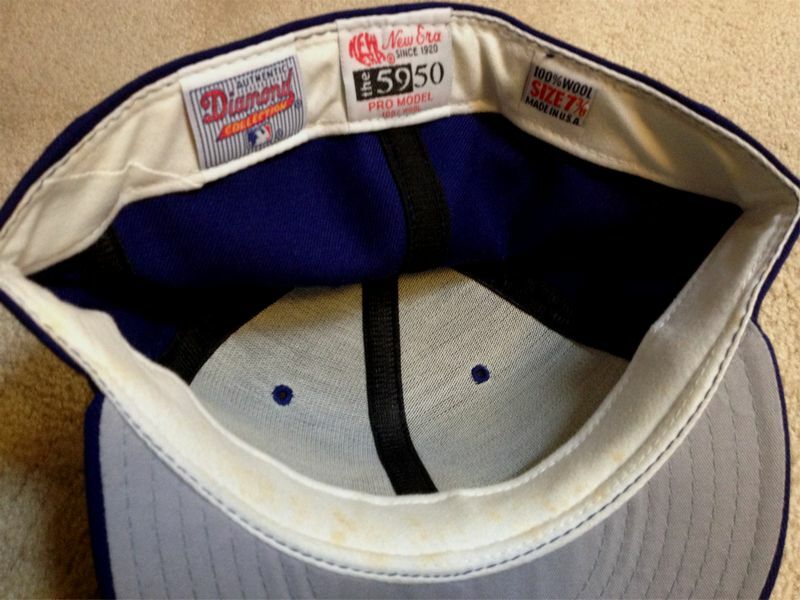 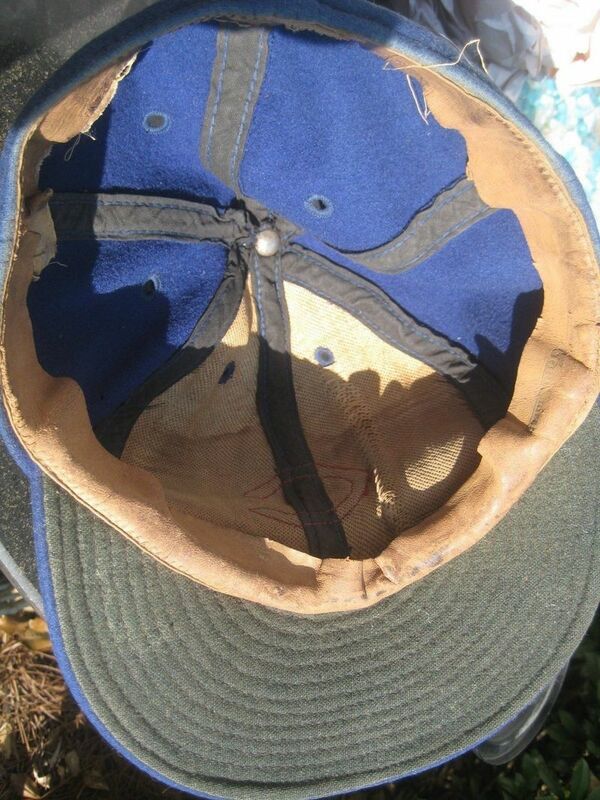 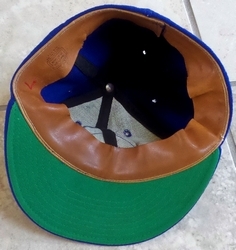 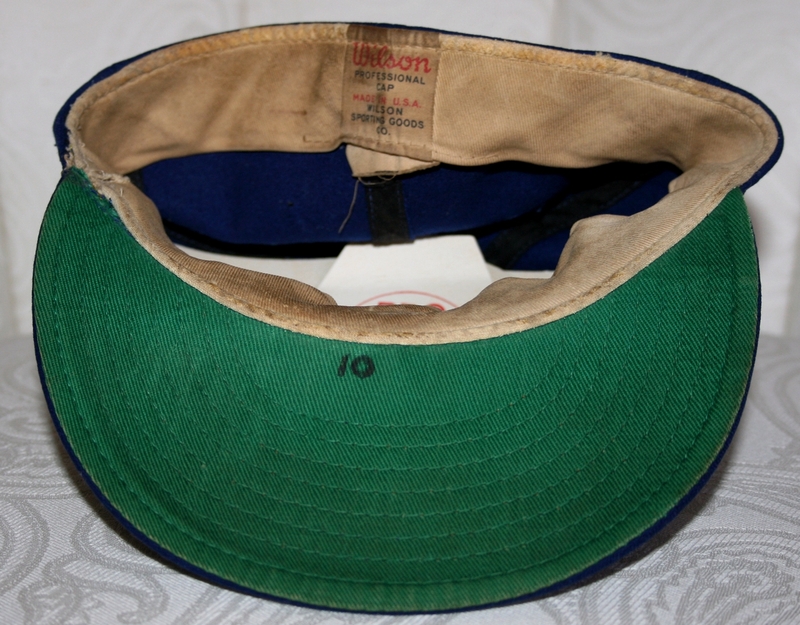 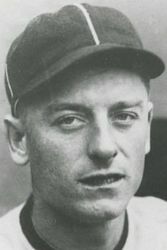 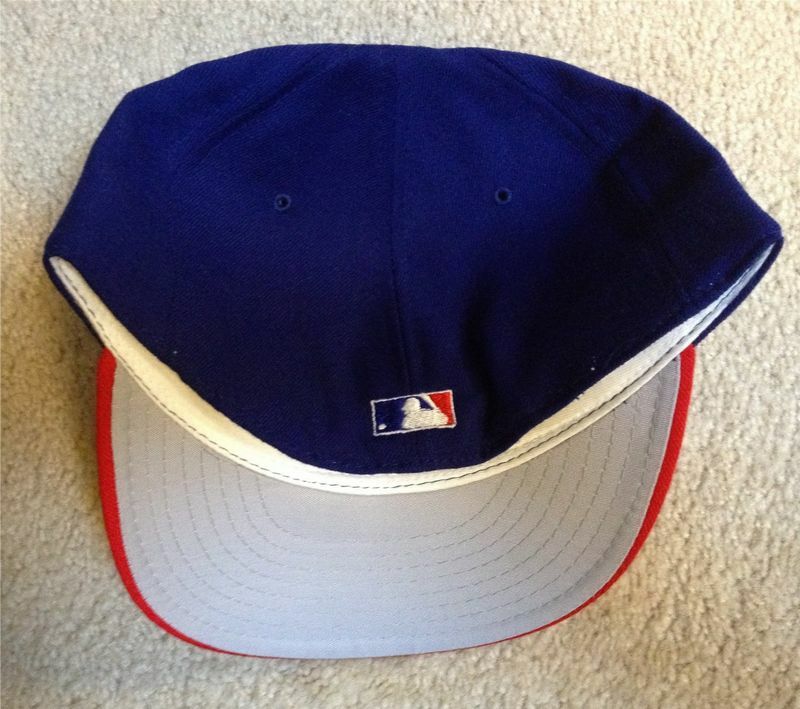 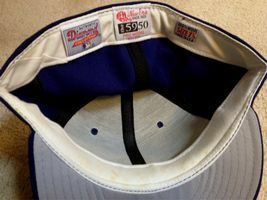 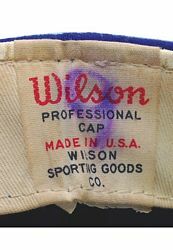 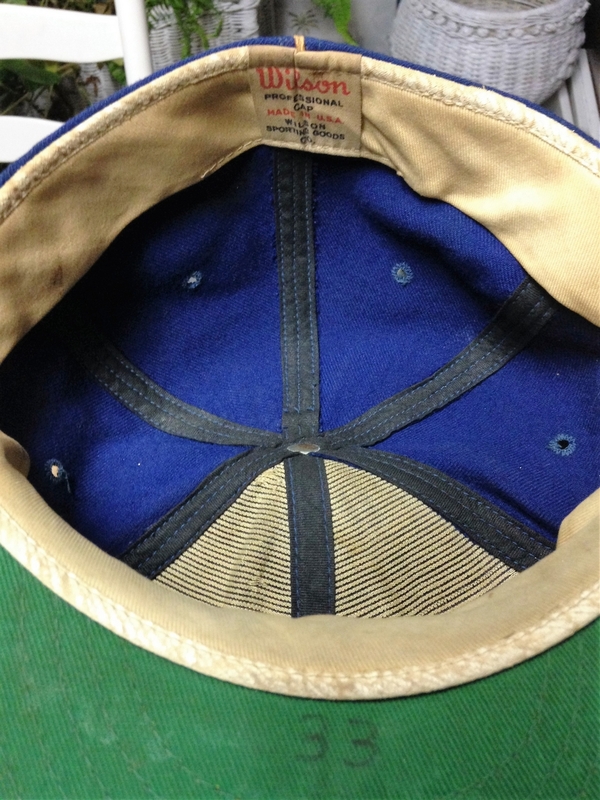 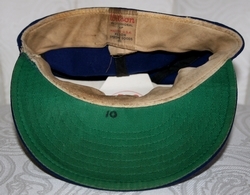 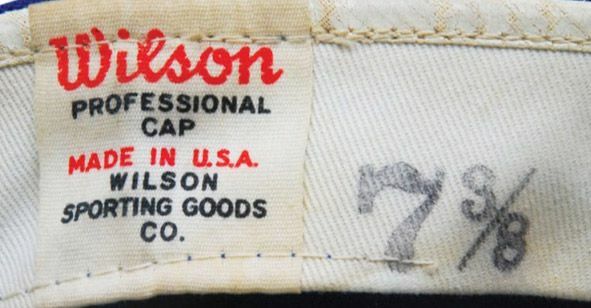 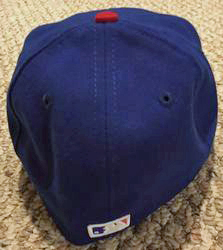 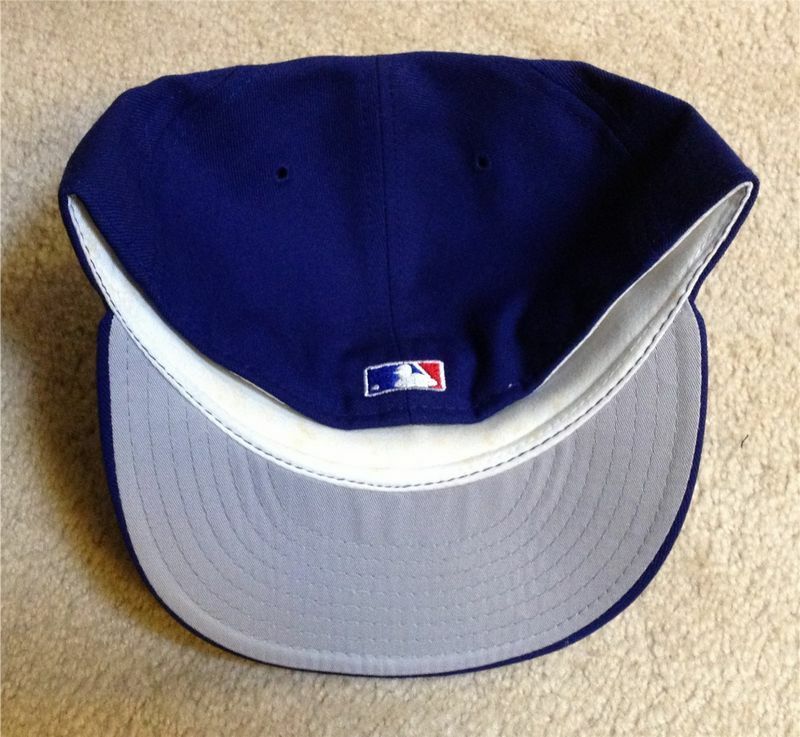 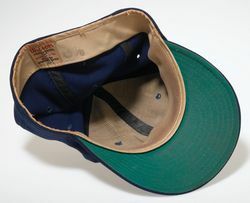 Both Wilson and McAuliffe caps are worn. 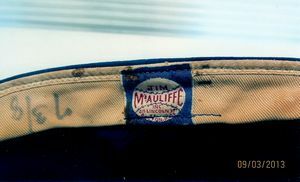 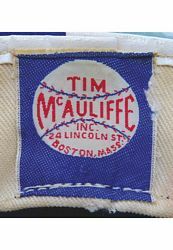 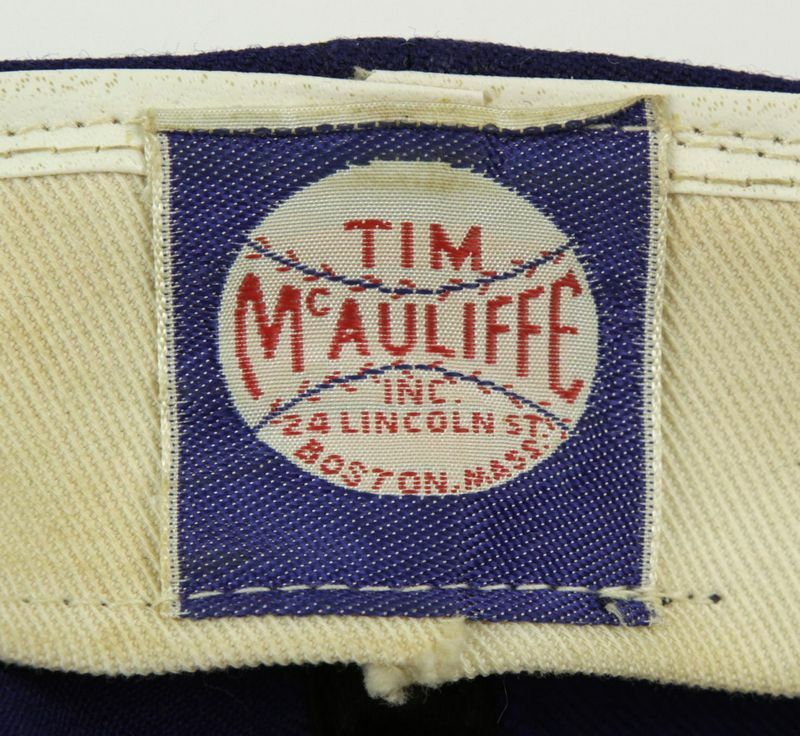 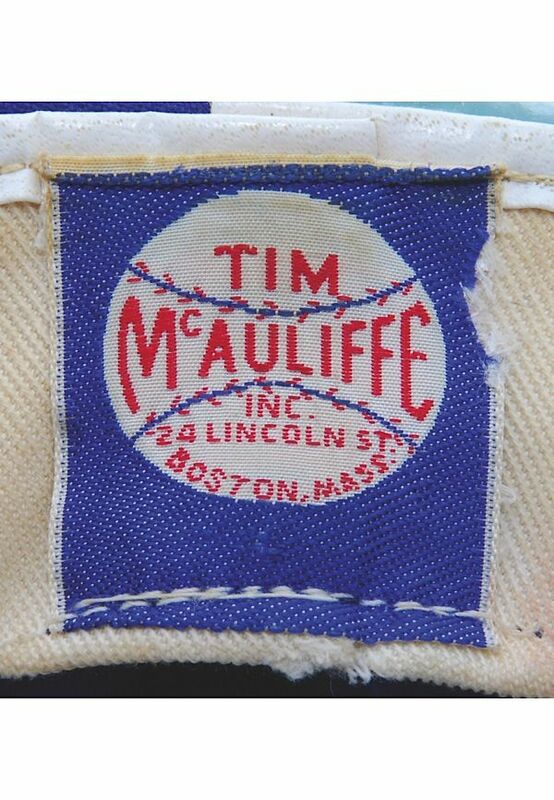 McAuliffe caps used around 1966-67 have a thinner logo. 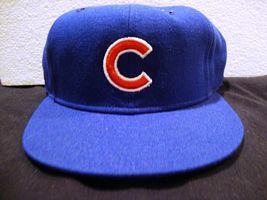 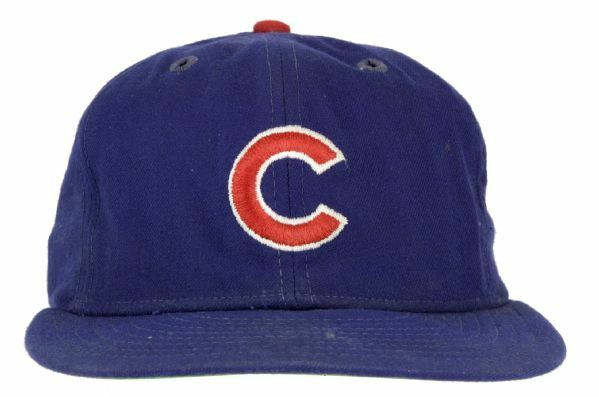 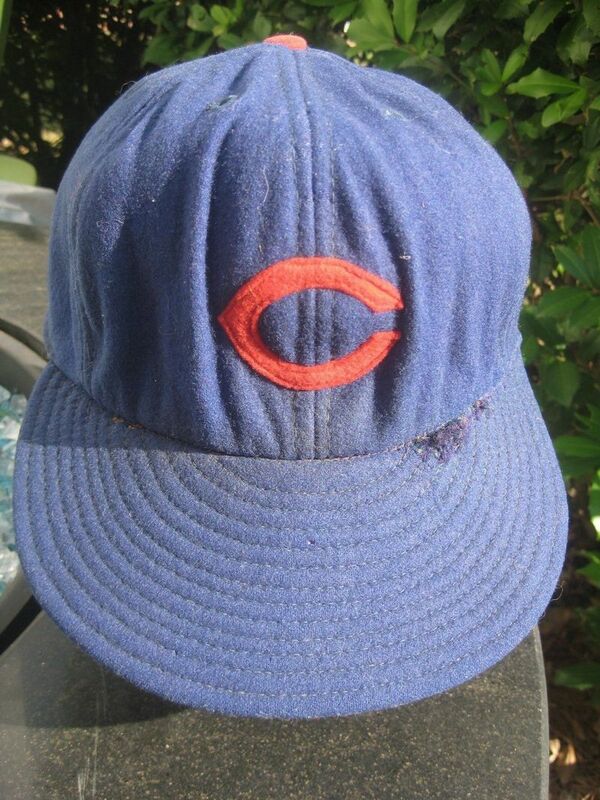 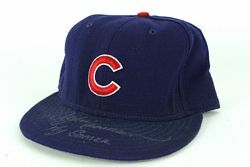 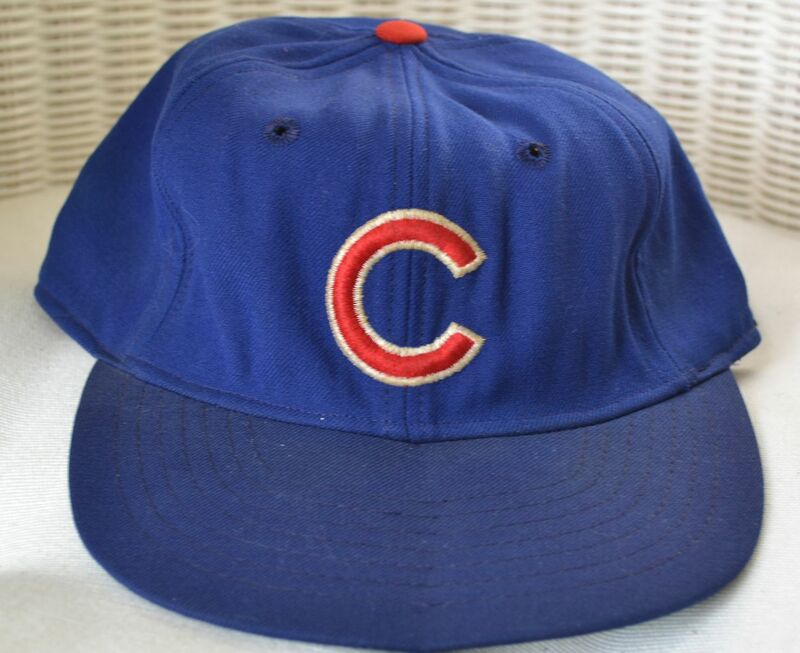 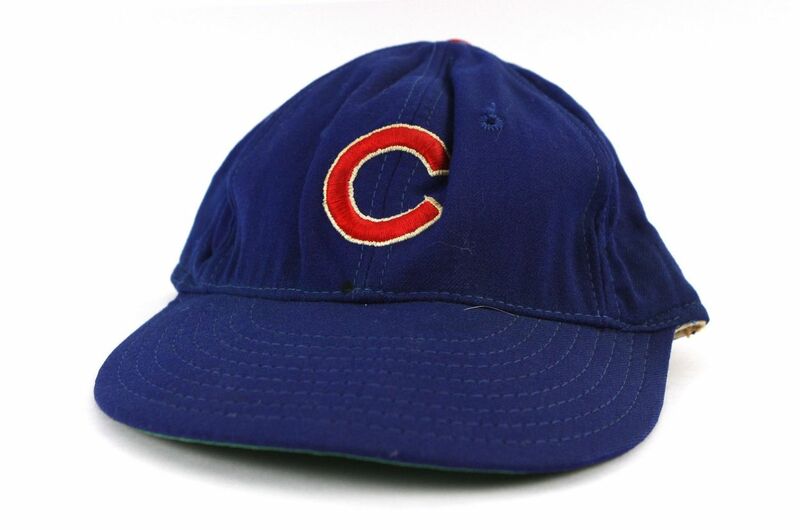 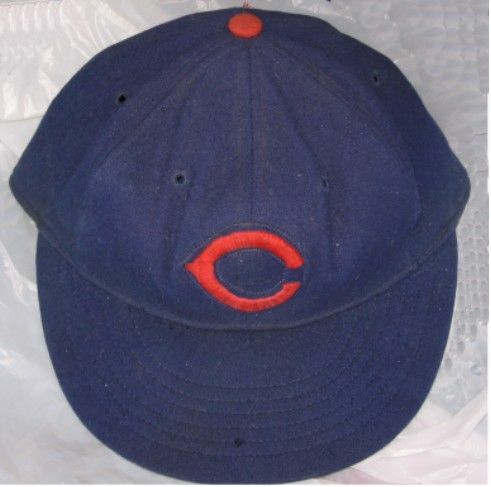 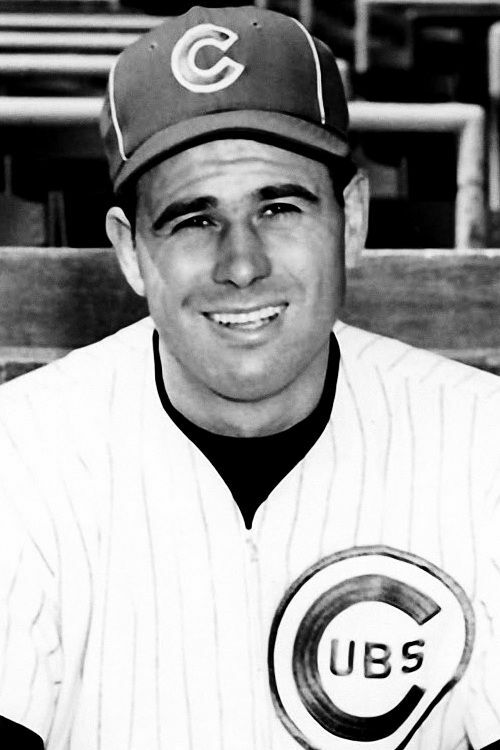 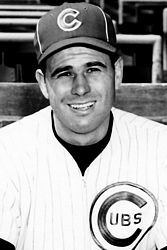 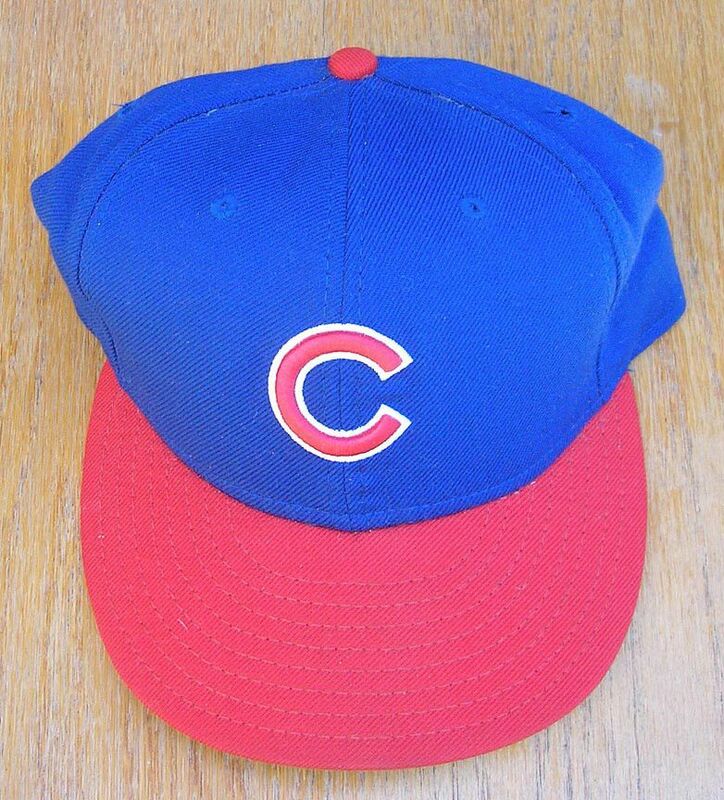 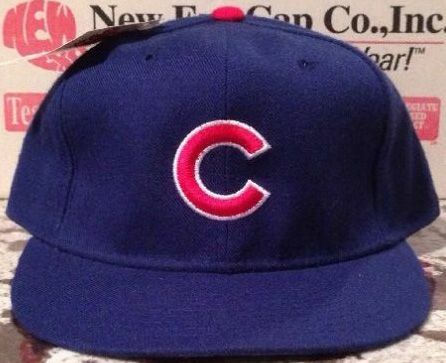 The Cubs switch to New Era caps in the mid 1970's. 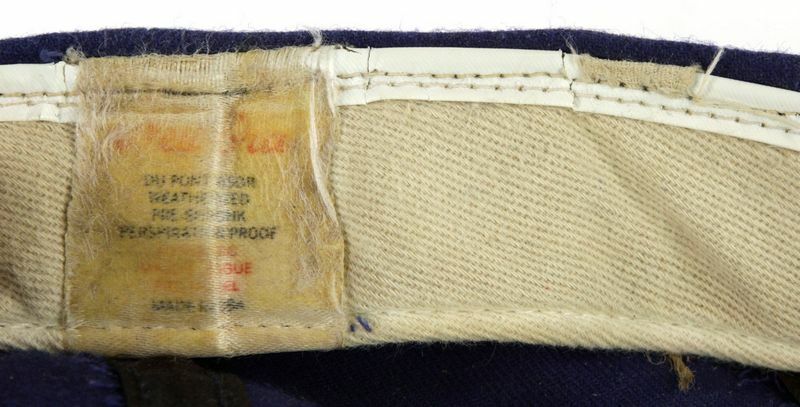 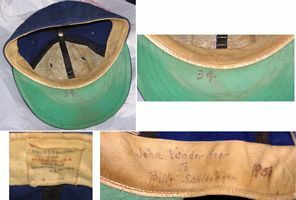 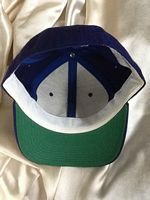 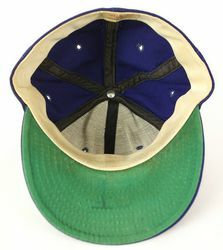 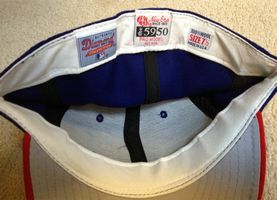 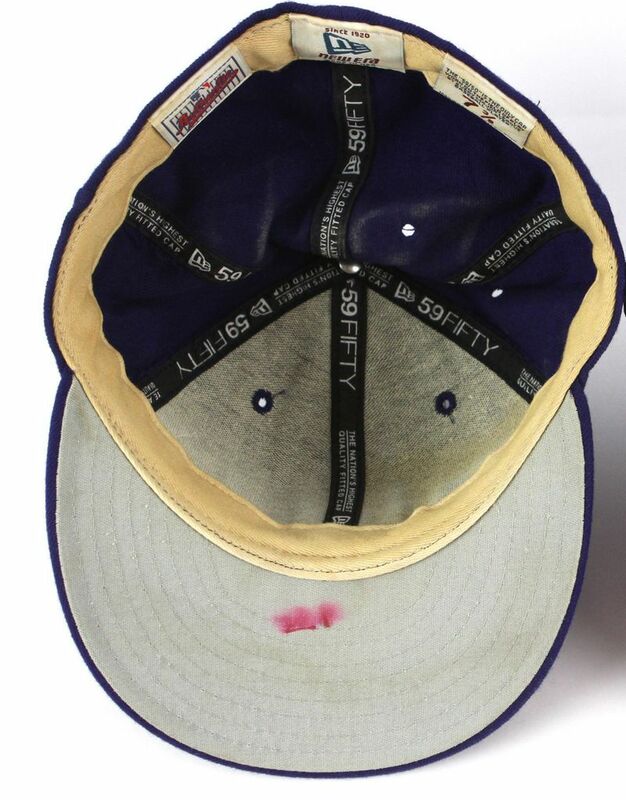 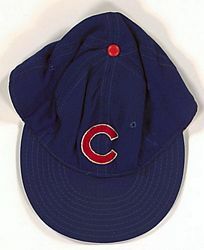 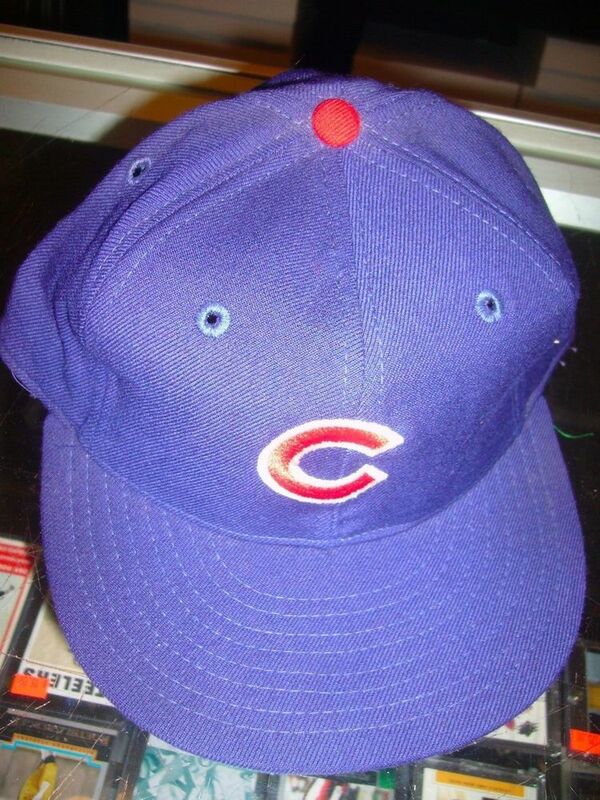 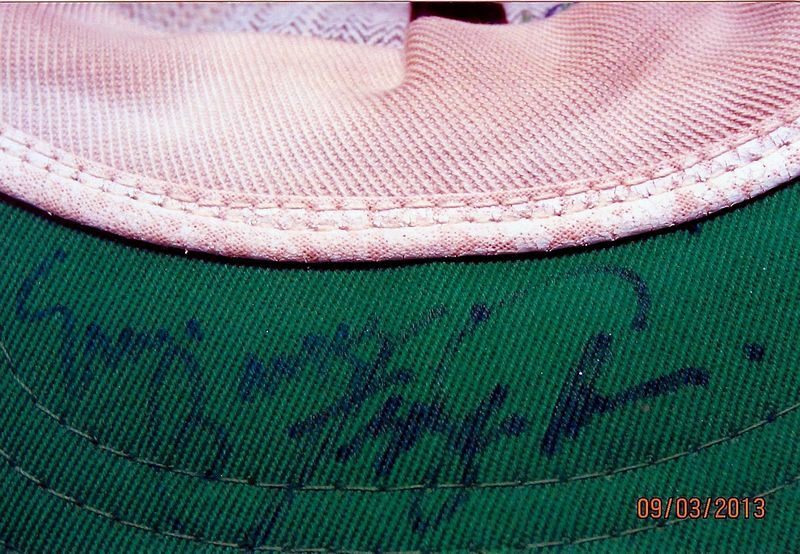 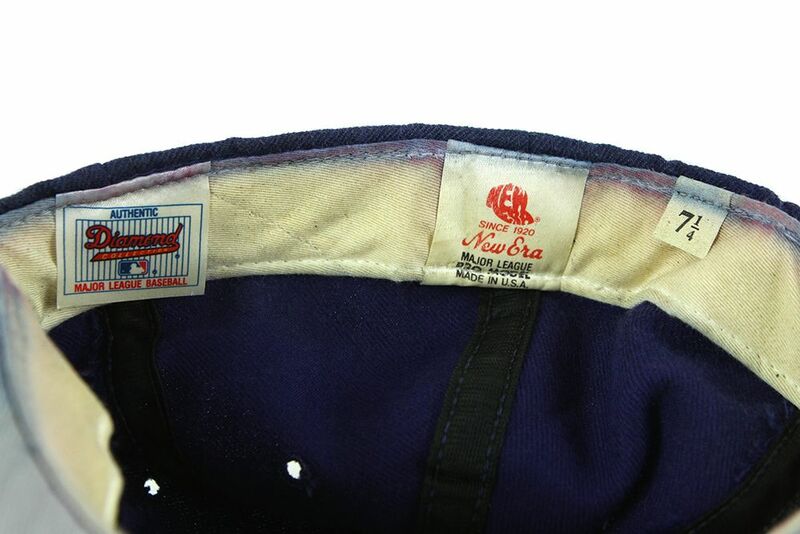 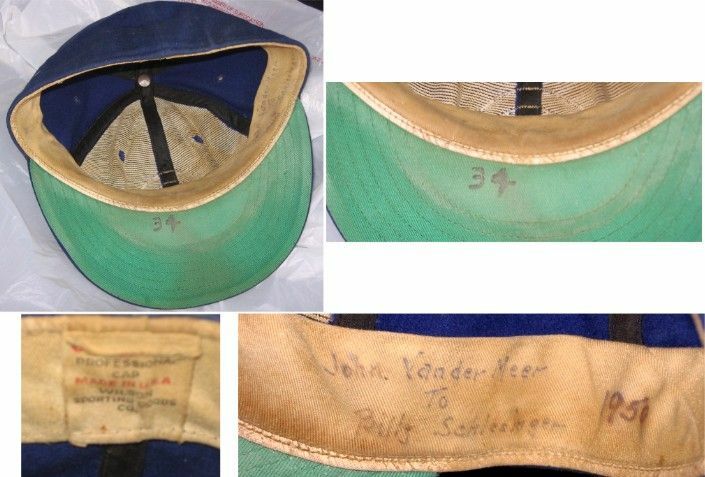 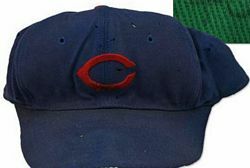 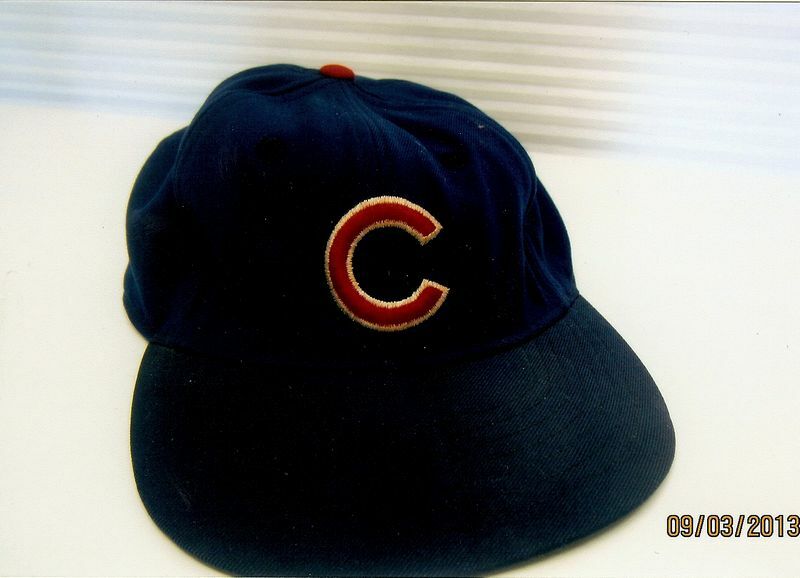 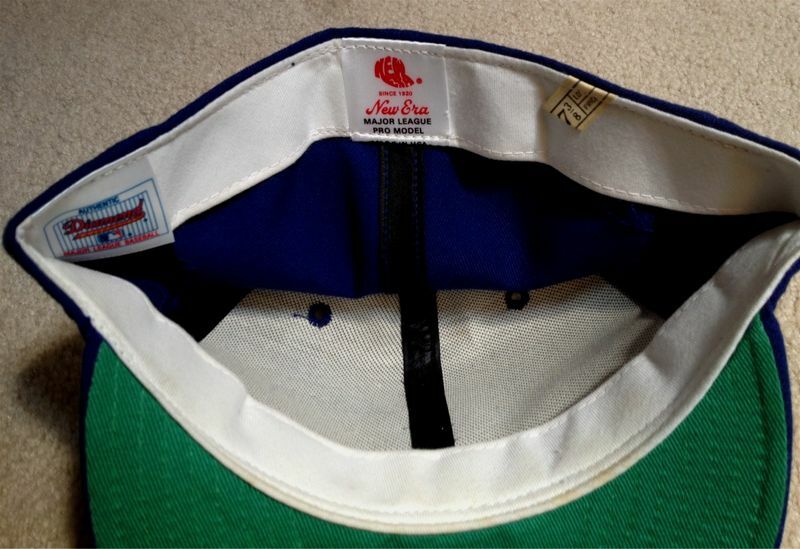 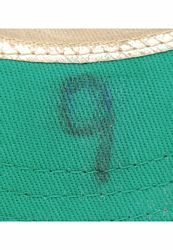 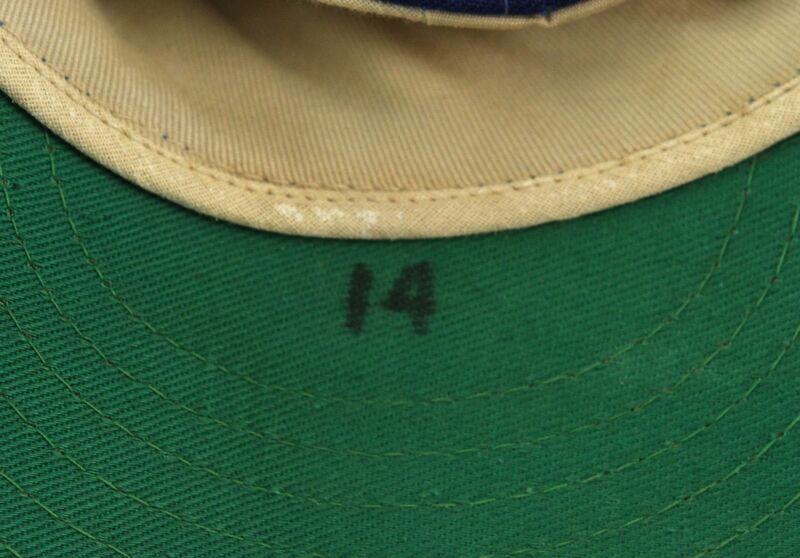 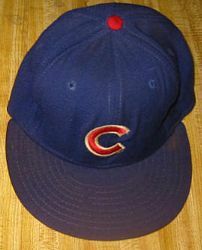 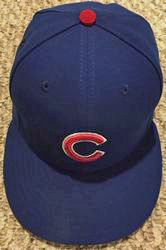 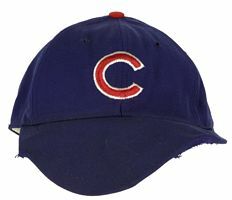 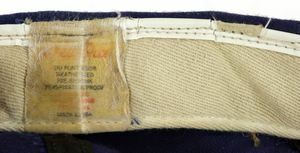 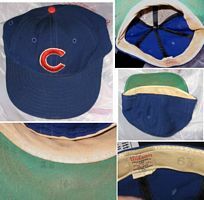 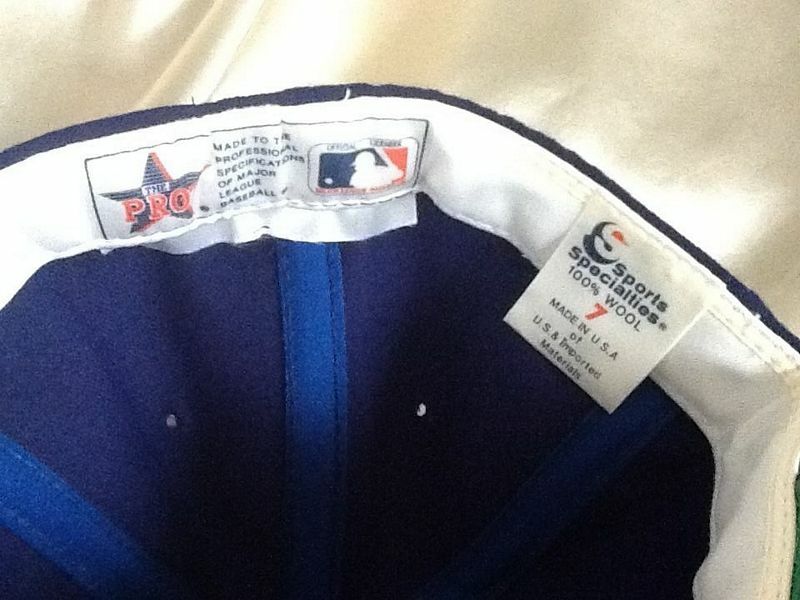 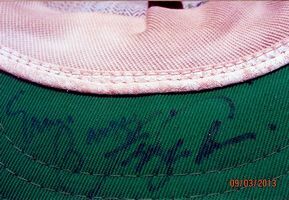 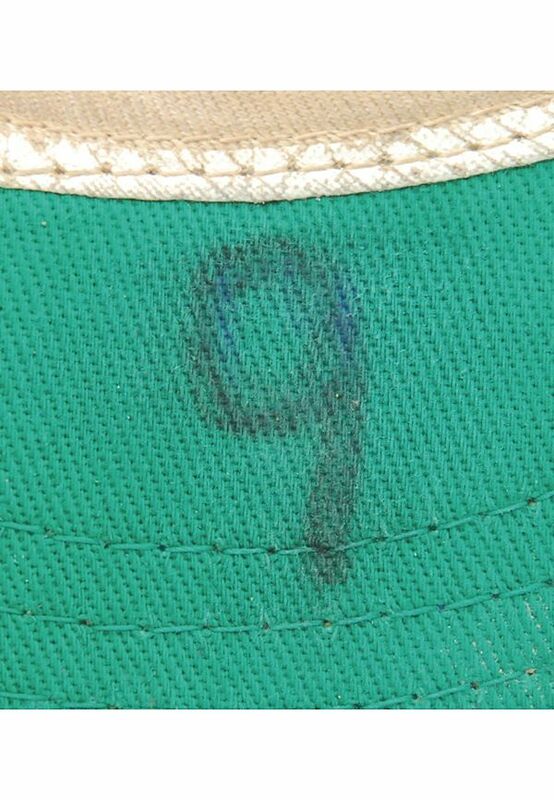 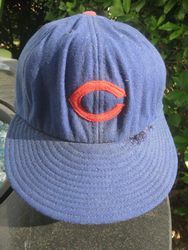 The Cubs use Sports Specialties caps in the late 1980's and early 90's. 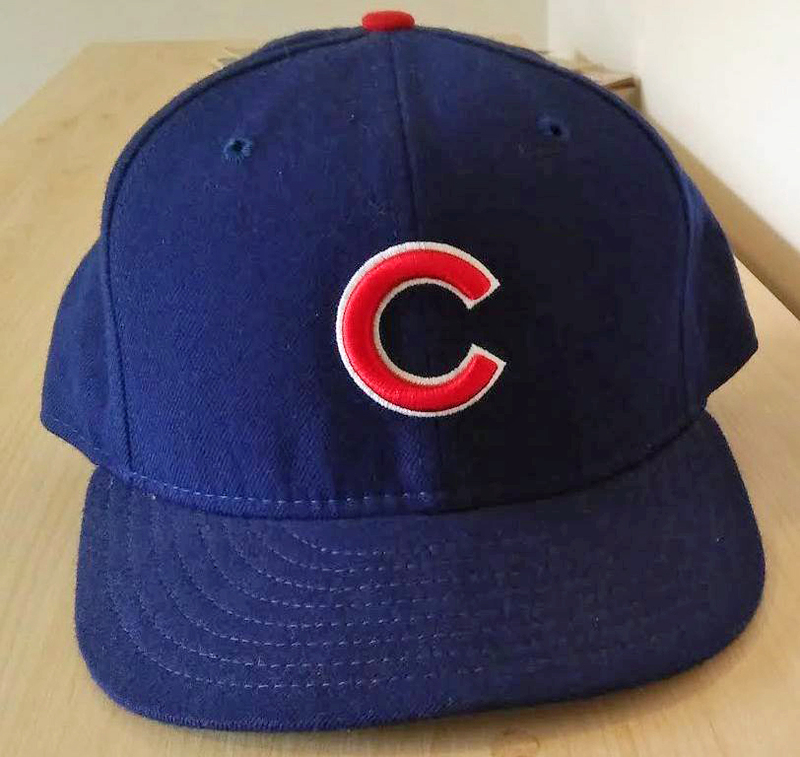 The white trim on the C is thicker. MLB Batterman logo initially appears as a glued on patch in 1992 then is embroidered on later in the year. 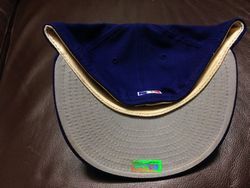 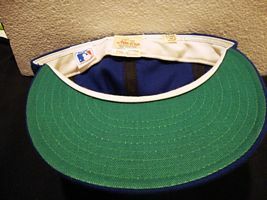 Undervisors go grey during 1992. 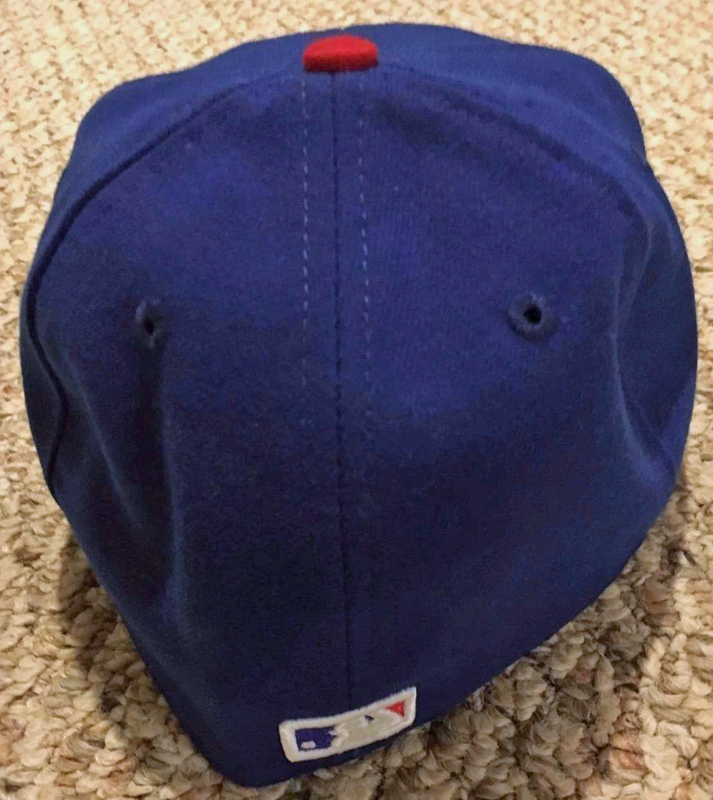 Road caps get red visors. 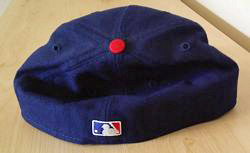 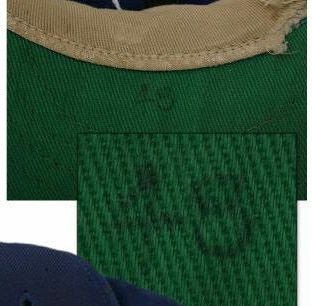 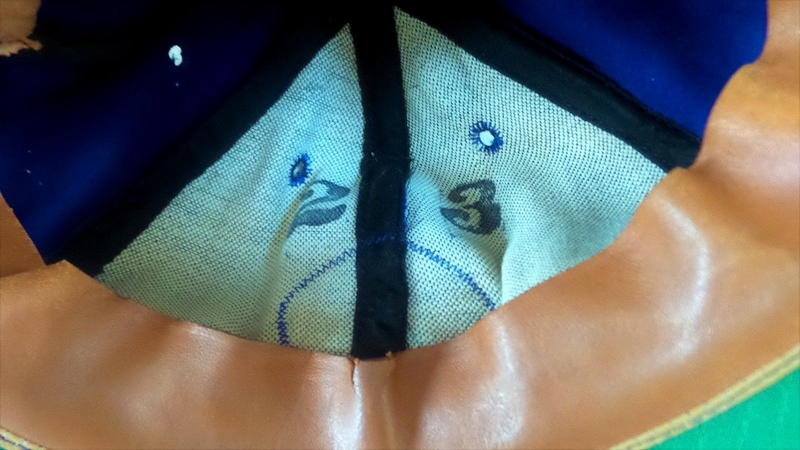 Raised embroidery appears in 1996. Polyester caps and black undervisors debut in 2007. 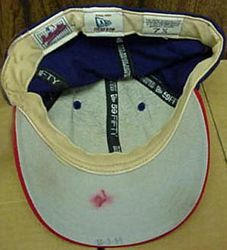 The red visor cap is retired. 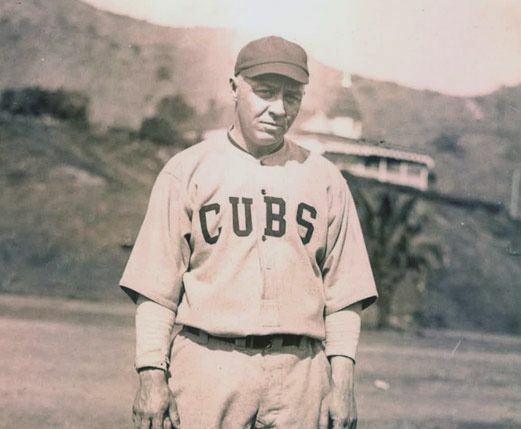 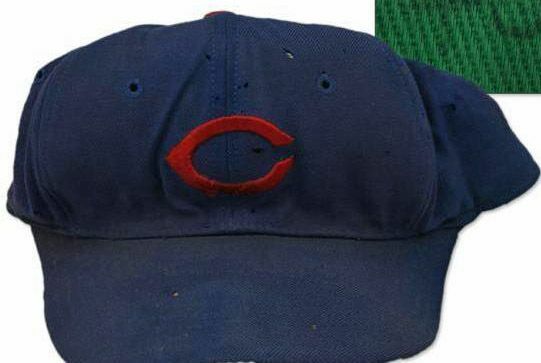 Throwbacks used for Wrigley Field's 100th anniversary.